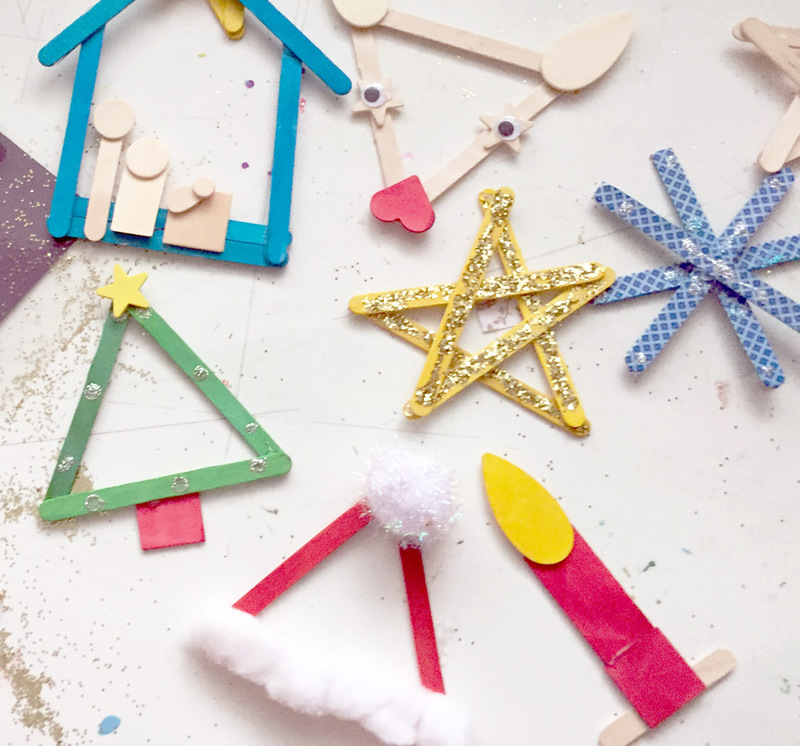 Easy Christmas Popsicle Stick Ornaments for Kids to Make Preview: You’ll find out how kids can make seven different Christmas ornaments from popsicle sticks and wooden shapes with this simple tutorial. 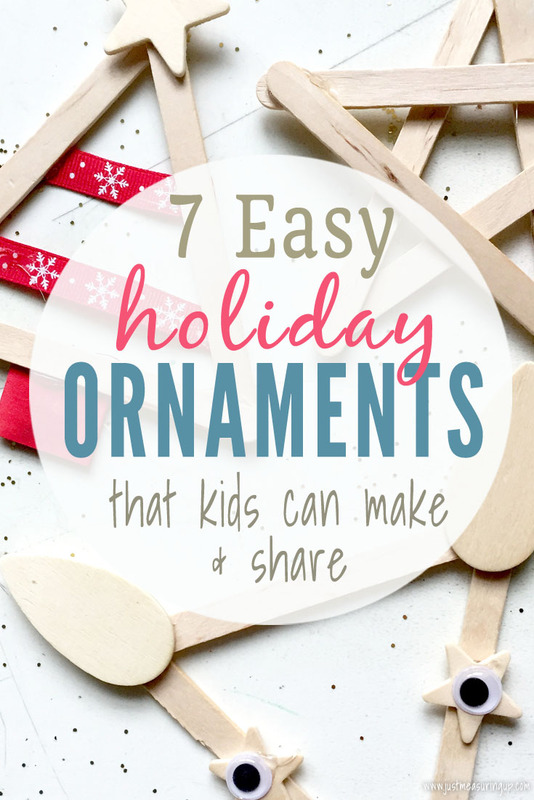 It’s a perfect Christmas craft for kids of all ages. One of my favorite things about the holiday season is getting to enjoy the excitement of the holidays with my kids. 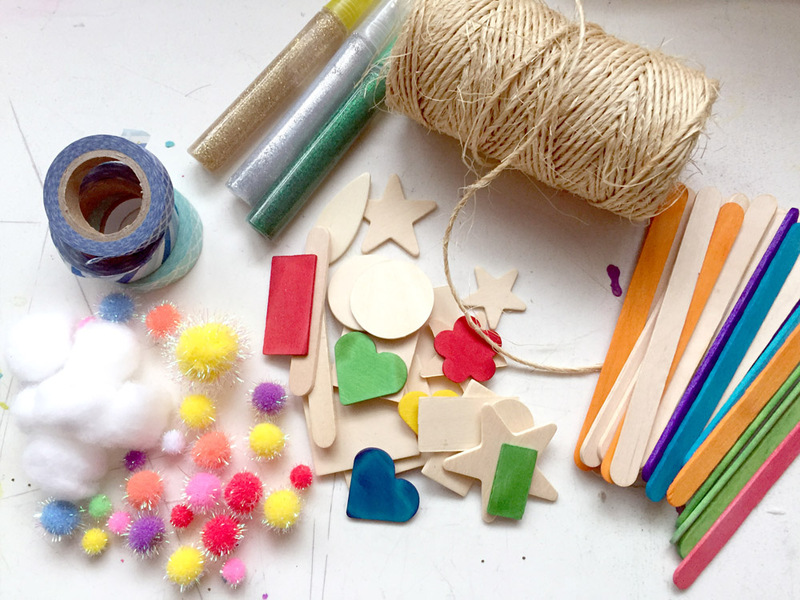 My son loves to do crafts with me, so we try to come up with new Christmas crafts, decorations, or ornaments to make each year. 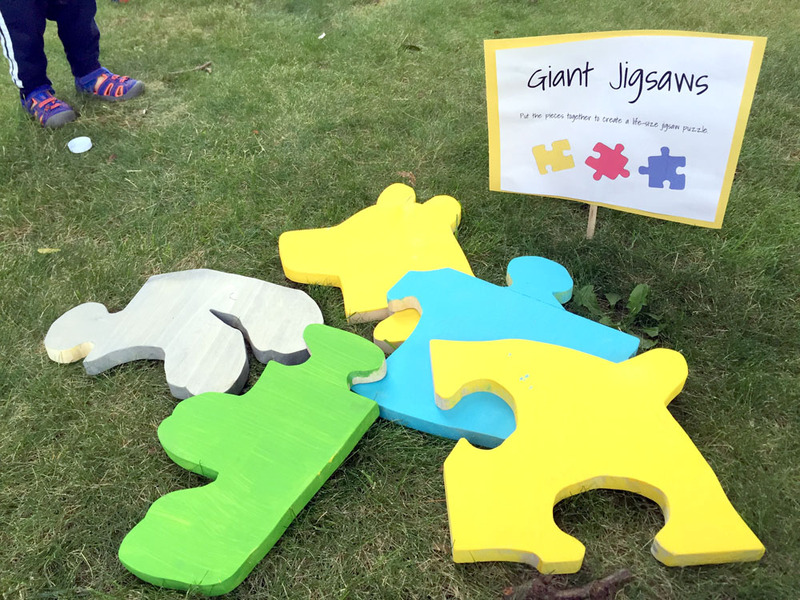 This year, we happened to have a huge box of colored wooden shapes along with popsicle sticks. From those things, we created 7 different ornaments. 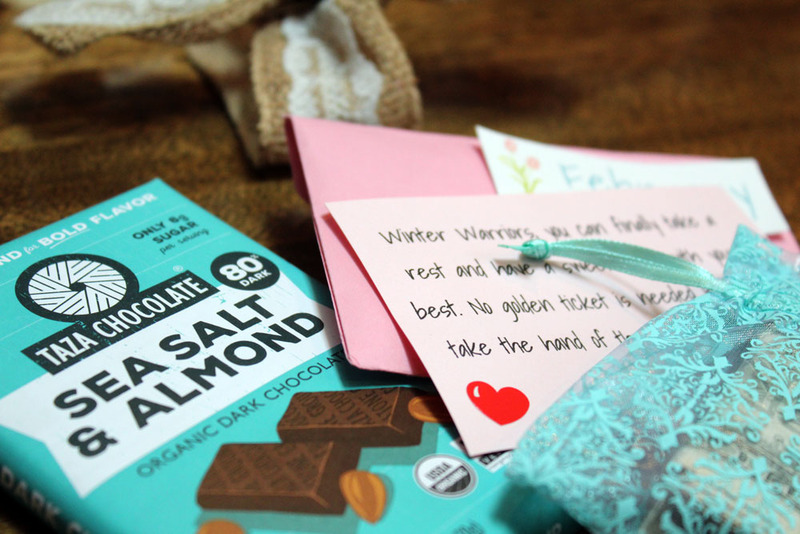 Not only did we have a blast making them, but it’s always fun to deliver them too. My son sang Jingle Bells while delivering ornaments and Christmas fudge to our neighbors 🙂 I’m sure my daughter will be joining in on the songs and crafts next year. 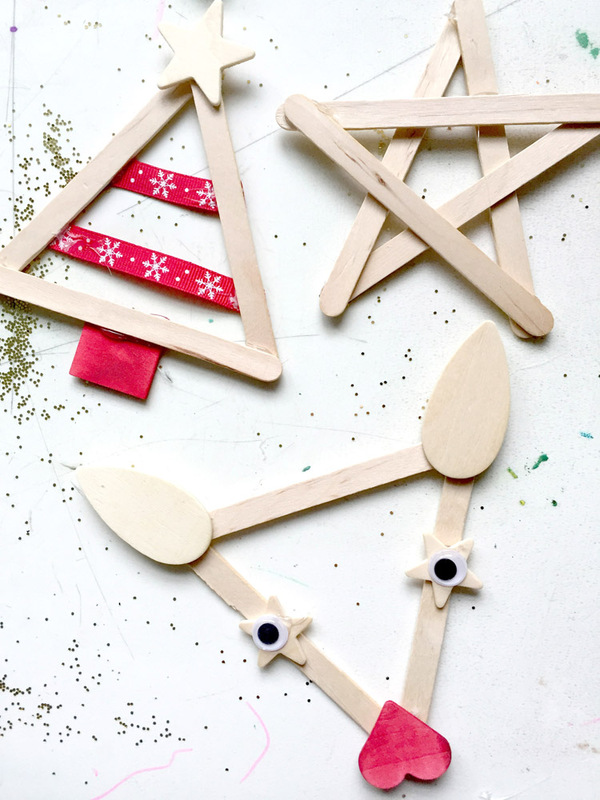 Without further ado, here are the instructions on these easy Christmas popsicle stick ornaments for kids to make. 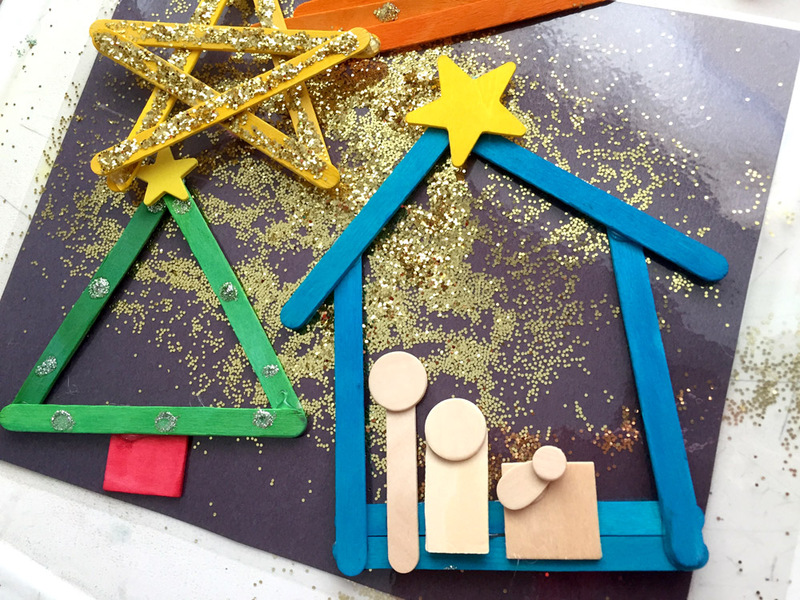 Instructions are pretty simple for this popsicle stick Christmas kids craft. 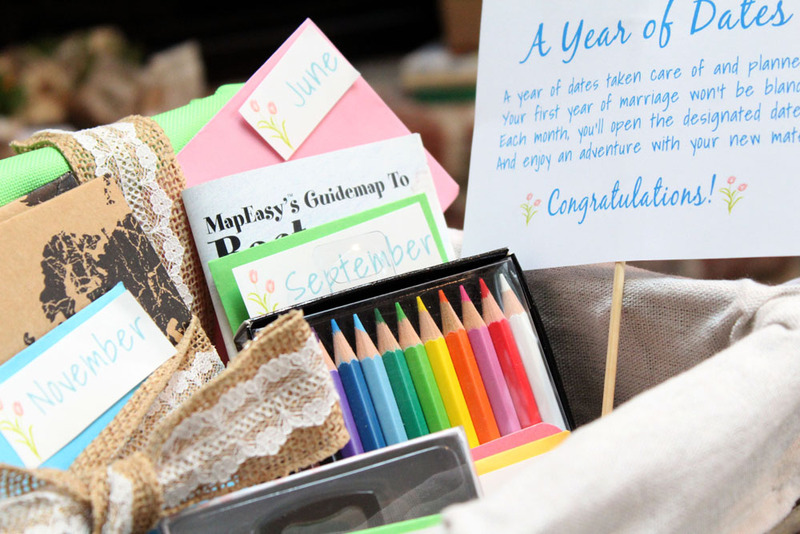 Just set up your pieces, glue, and tie with a ribbon. I tend to use hot glue because it works so well. So after my son put the shapes together, I glued them down. 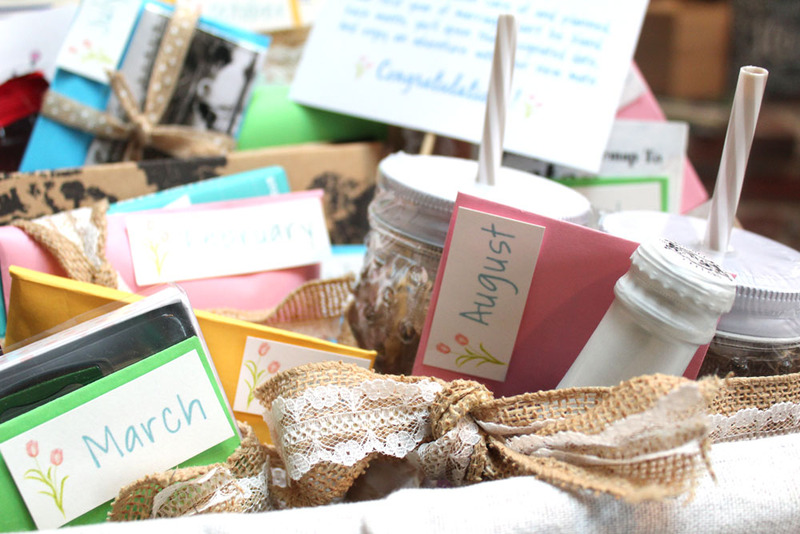 I also found that the twine a little hard to work with, but ribbon worked much better. 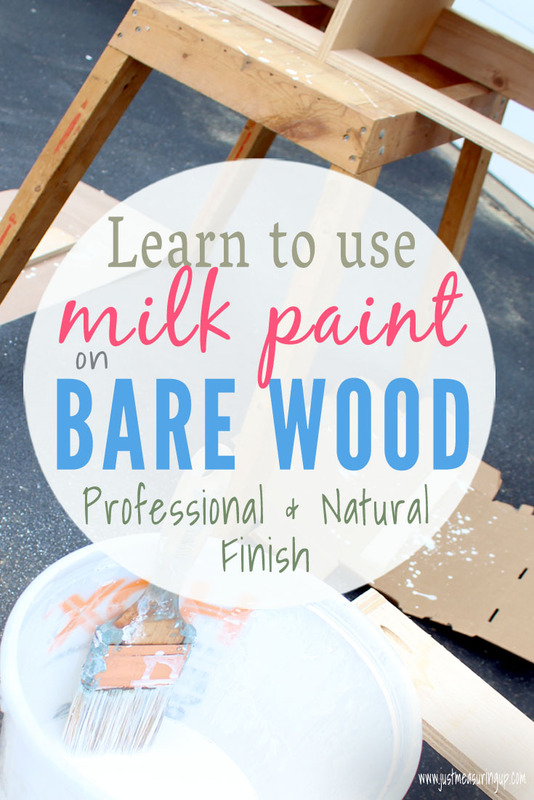 If you do use uncolored shapes or popsicle sticks, you’ll need to account for dry time. 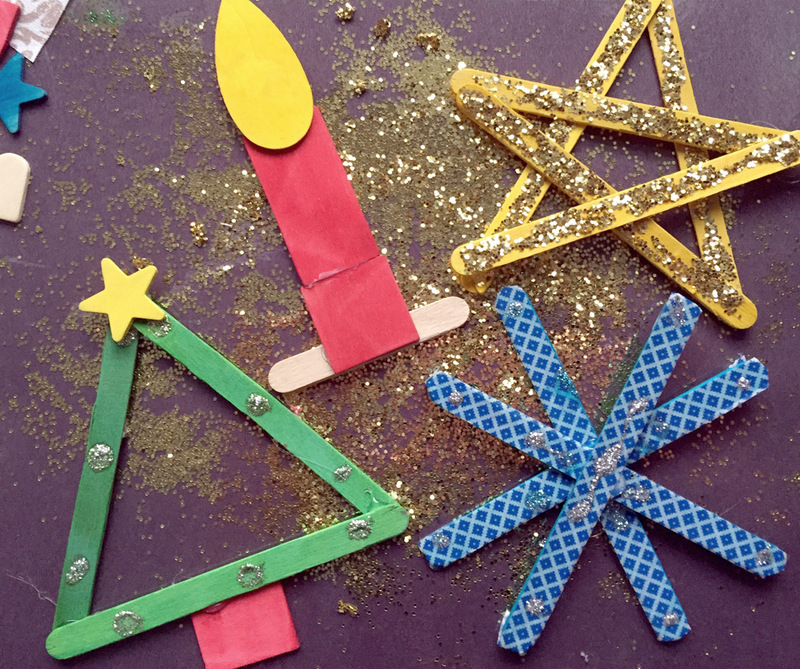 So, the first session would be painting the shapes and popsicle sticks, and the next session would be piecing together the shapes into ornaments. Here are the different ornaments we made with the wooden shapes. Simply take 3 popsicle sticks and shape into a triangle. 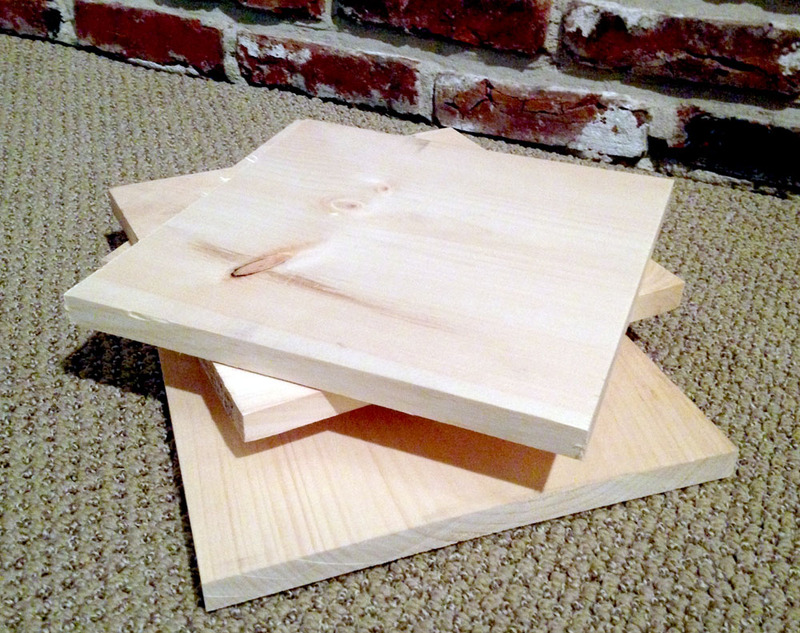 Use a rectangle or square for the tree stump, a star wooden shape for the top, and decorate as you wish. We used glitter on some and ribbon on others. 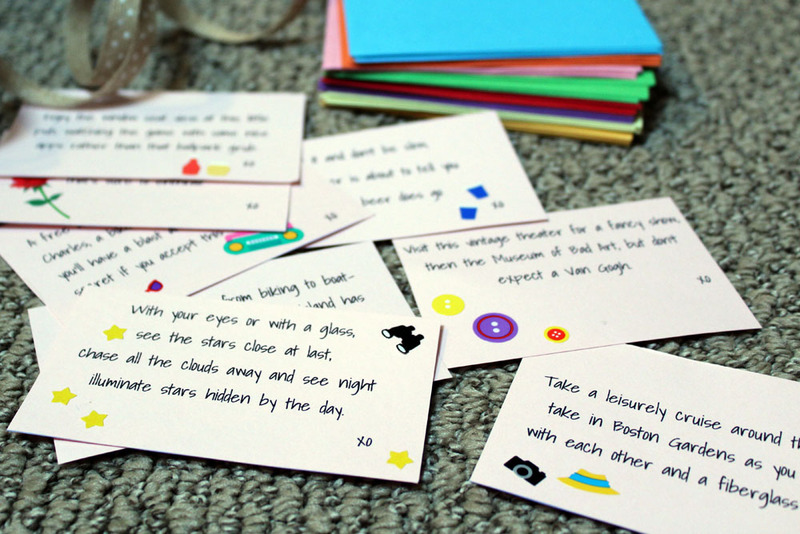 Washi tape would also work well. Another one of my favorites – Rudolph is a fun one to make! Start with an upside down triangle. 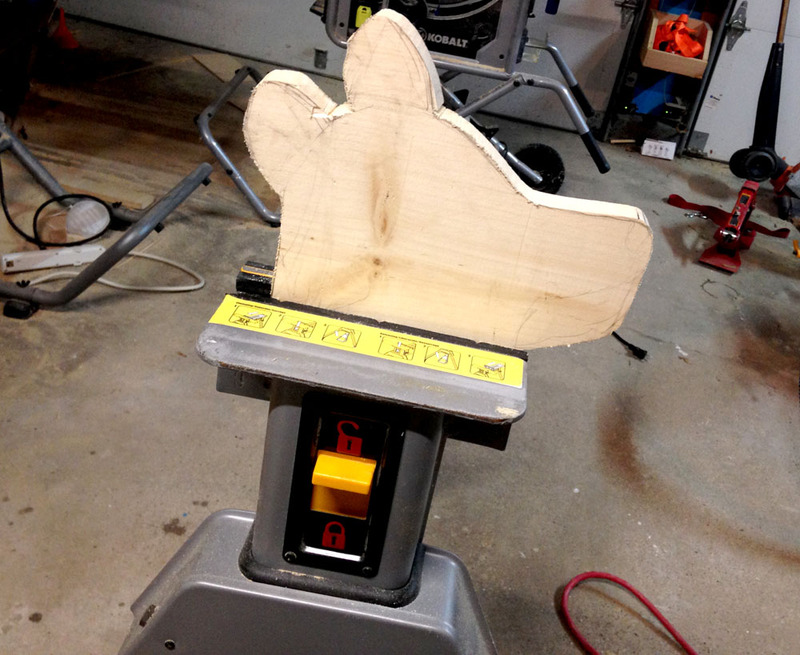 Add oval or teardrop wooden shapes for the ears. We then used googly eyes on stars for the eyes and a red heart for his nose. For the star, take five popsicle sticks out. Start by making an upside down V with two popsicle sticks. Then make an X with two more popsicle sticks. Lay the X on top of the upside V, and you will see your star starting to take shape. You’ll place the 5 stick across the middle to finish the star. This one is my favorite – so much, that we made many more of these than the others. We started by making the stable with 6 popsicle sticks (see pic). Then, we used various circle and rectangle shapes to create Joseph, Mary, and Jesus in the manager. Don’t forget the star at the top! For the snowflake you just lay four popsicle sticks on top of each other to form a snowflake-like shape. Easy peasy! This Christmas candle works well if you have oval or teardrop shape wooden pieces. You’ll use that piece for the candle’s flame. 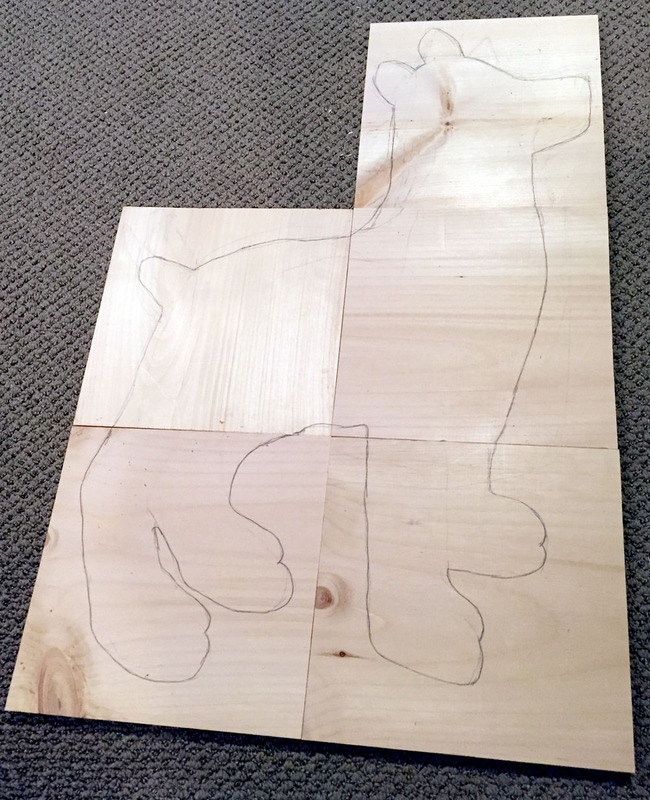 Then, use rectangles or squares or a combination to build the candlestick. 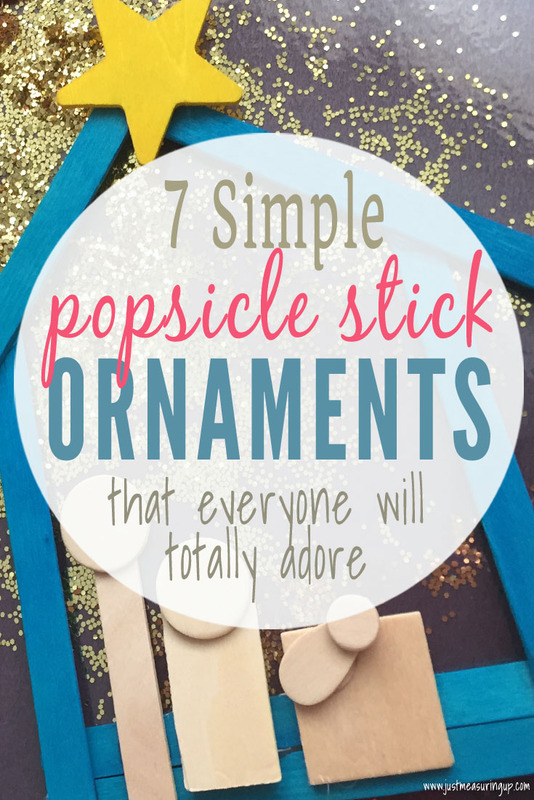 Lay on a short popsicle stick for a holder, and you’ll have a Christmas candle. 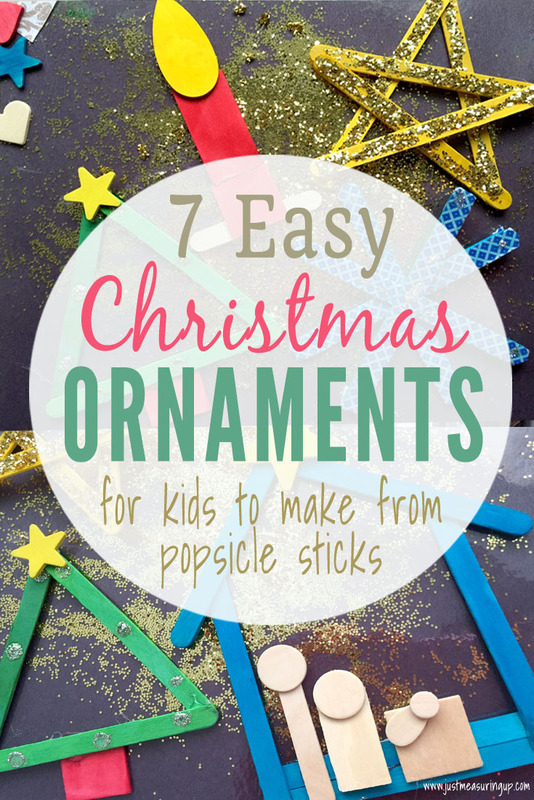 The last one is the Santa hat popsicle stick ornament. You just form a triangle and then lay cotton balls or pom-poms on the bottom to create a fuzzy hat look. 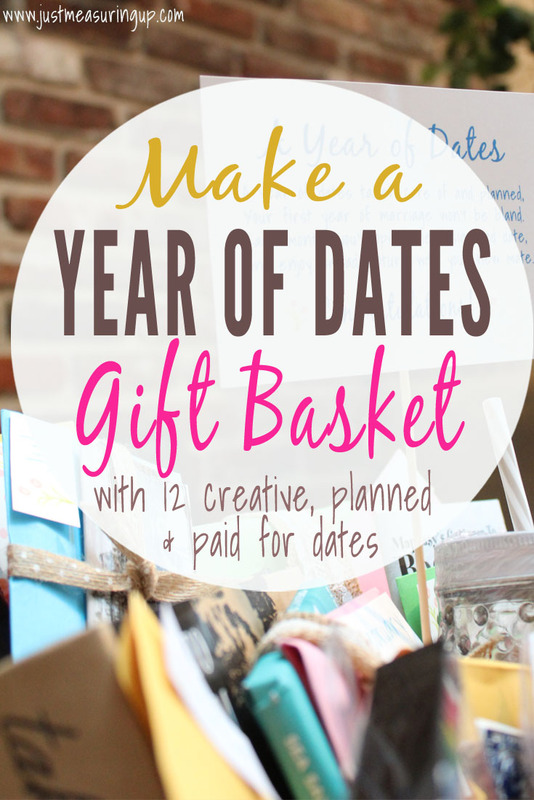 Don’t forget to put one cotton ball or pom-pom at the top! 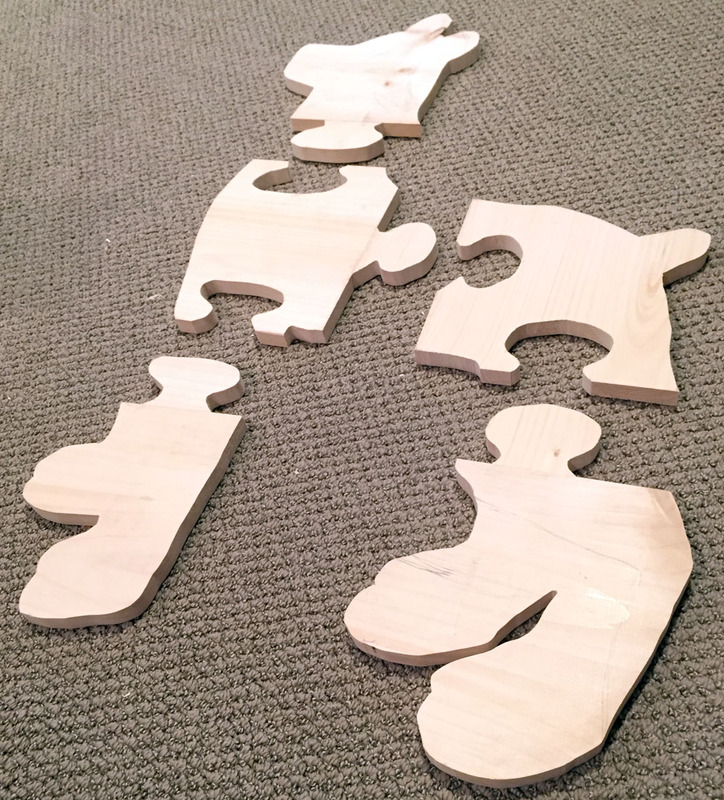 Preschoolers: Shapes. Have your child sort by shape. 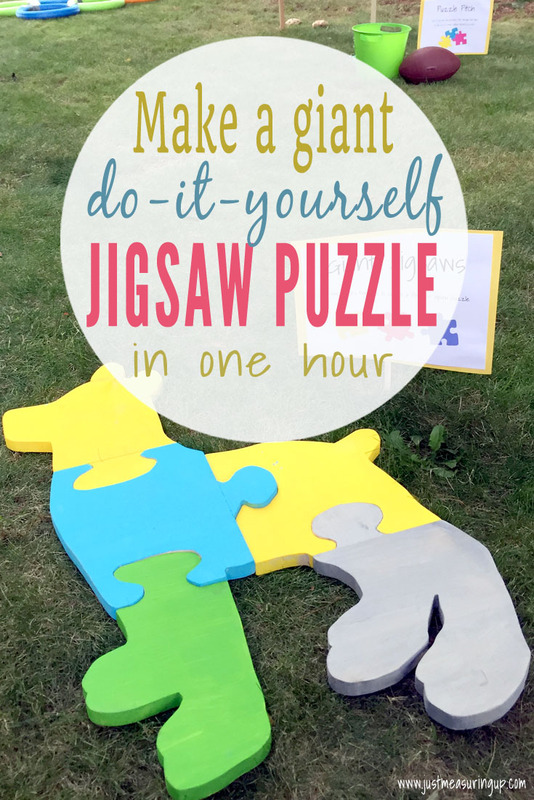 Cut each shape out of construction paper and have the kids place the little wooden shapes on the construction paper shape you cut out. Elementary Level: Compose Shapes. 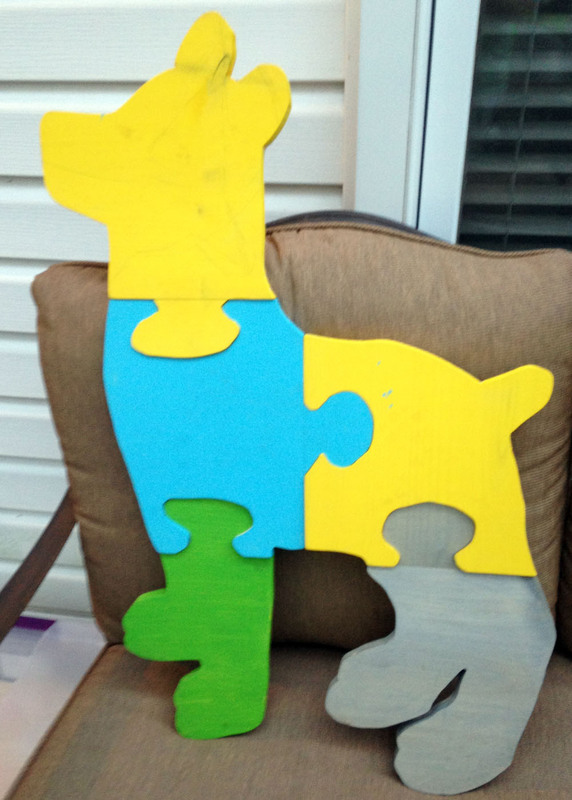 Have your child put various shapes together to create something cool – like a robot, a fox, a flower, a person, etc. Make it easier or harder by pulling shapes for them. 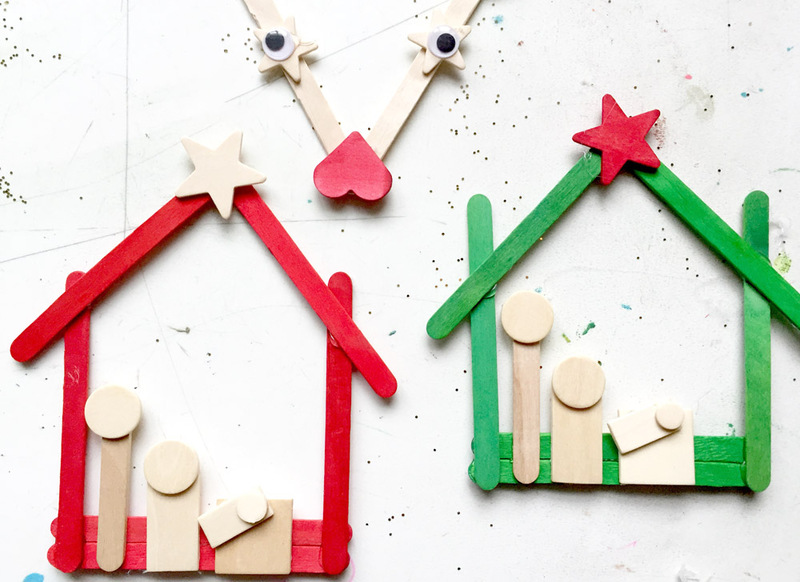 If you’re looking for a fun Christmas craft for kids this year, you can’t find an easier one than these popsicle stick Christmas ornaments. 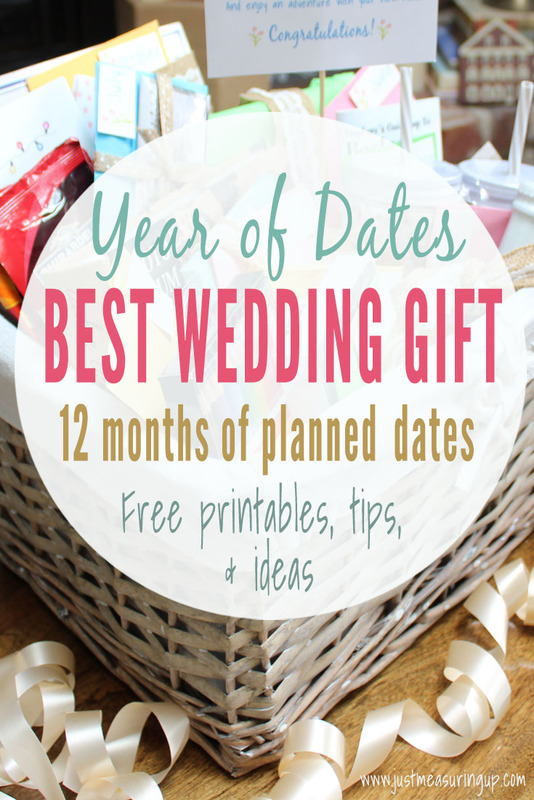 Plus, everyone loves receiving them as little gifts! Don’t forget to make a few extra for your Christmas tree too. This post is sponsored by Commercial Silk. All opinions are entirely my own. 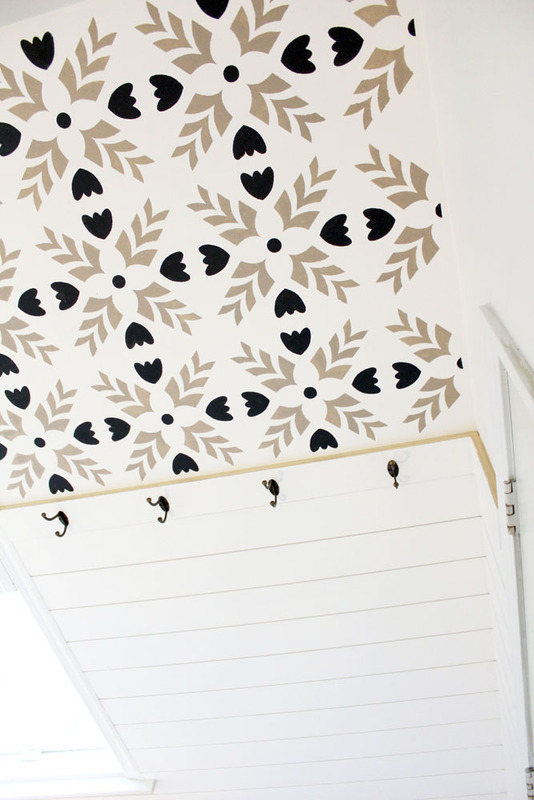 Moving into our home, one of the most appealing things was the fresh white paint that adorned the entire house. 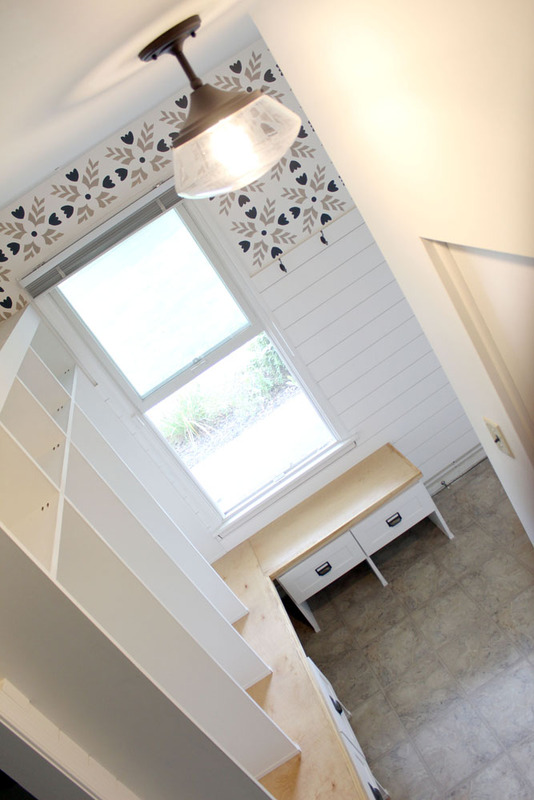 This new space of ours was definitely light, bright, and airy. 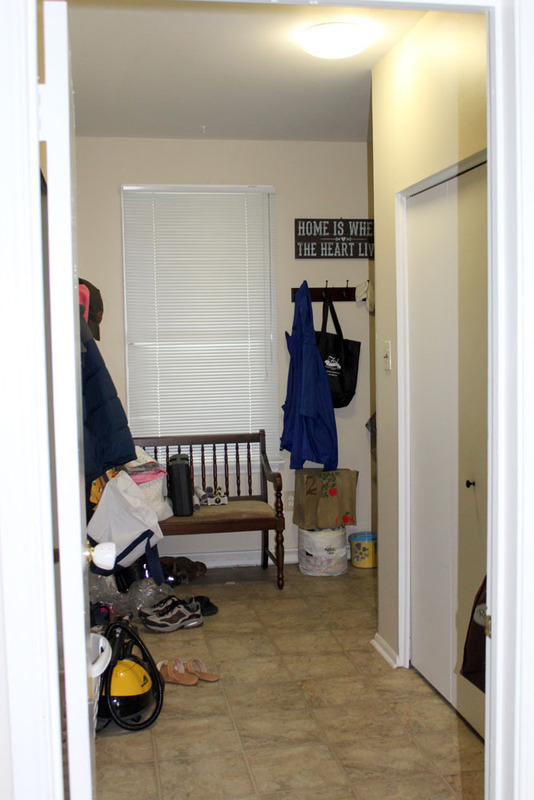 However, before long we realized just how plain the rooms were. 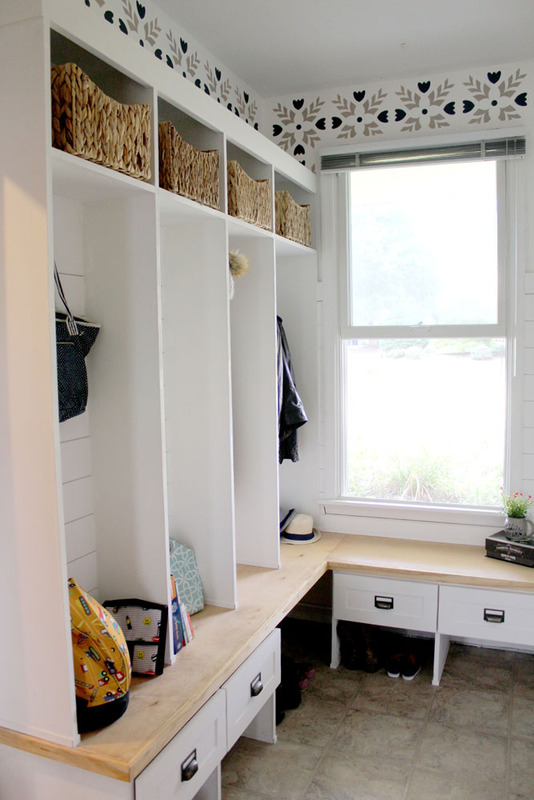 The bright white walls along with the off-white carpets and our neutral furniture made for some really boring spaces. Scrolling through my Instagram feed, it was easy to see that neutral-colored rooms are definitely gorgeous and in style. 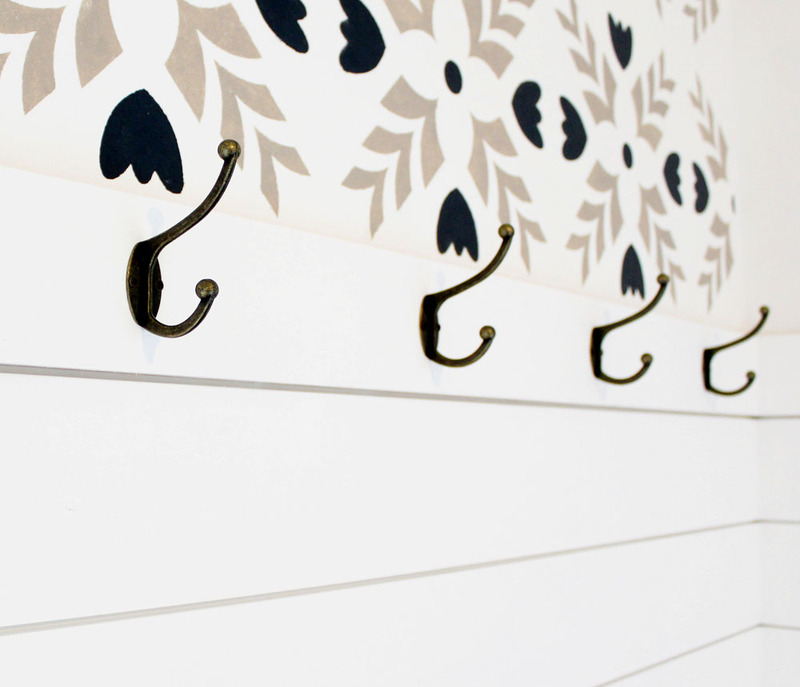 Neutral colors make rooms feel larger, fresher, and more welcoming. The neutral color scheme in our new home was a good start for us, but we needed to incorporate some color to add character and expression to our new home. 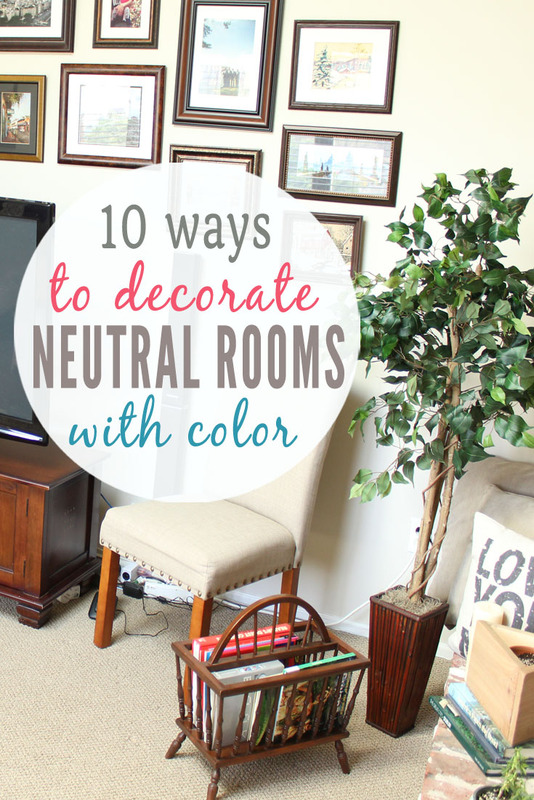 If you are finding yourself in the same position, check learn how to add color to neutral rooms on a budget. One of the easiest ways to add color to neutral rooms is by incorporating throw blankets. A cozy blanket tossed over a patterned chair or the arm of the couch adds color, comfort, texture, and style to your home. Blankets can work in any room – but are especially perfect for adding color to living rooms or bedrooms. 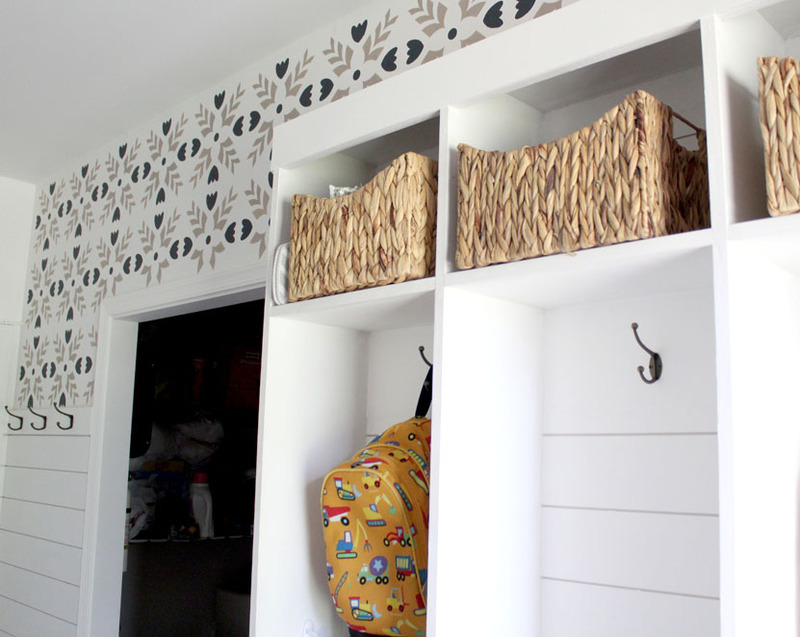 We tend to decorate our kids’ rooms in neutrals and then use pops of color here and there. Throw blankets are a really easy way to bring color into a room in a subtle, thrifty way. Throw pillows are another perfect way to add color and character to neutral spaces. For example, if you want to incorporate navy blue into your living room, you might not want blue walls, a blue couch, or a blue carpet. Yet, adding blue throw pillows is a subtle way to bring in a vibrant color. For my living room and family room, I went digging in my collection of pillow covers to find something that would add some color and texture to our boring rooms. I love having pillow covers on hand. You aren’t stuck with a ton of pillows when you change your style or mind – and you can much more easily store covers than whole pillows. 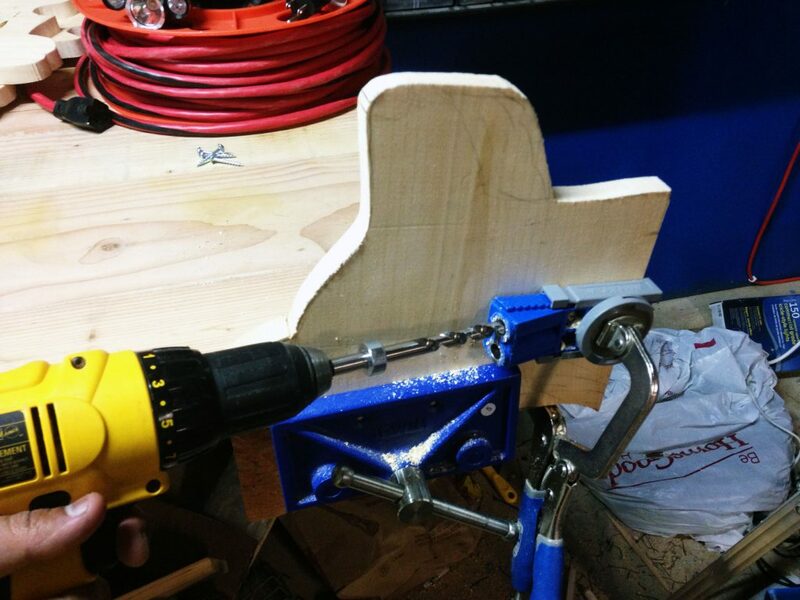 You can also easily sew pillows and save money. 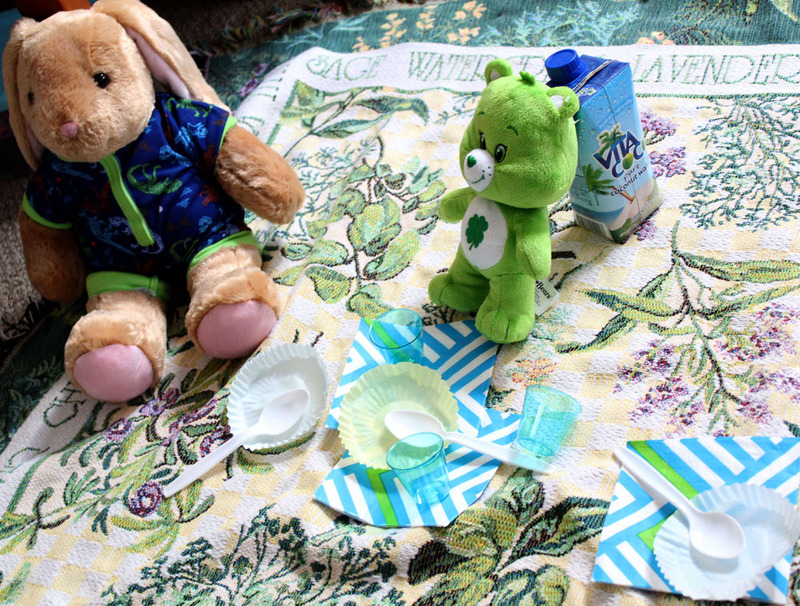 Just grab a fabric you like and a pillow insert or stuffing, and get cracking at that sewing machine. One of my favorite ways to save money on pillow-making is through buying throw pillows that are severely discounted- no matter the color or style! I’m talking crazy colors and patterns. Instead of buying a pillow insert or stuffing, I use the discounted throw pillow as the insert and just sew a pillow cover. 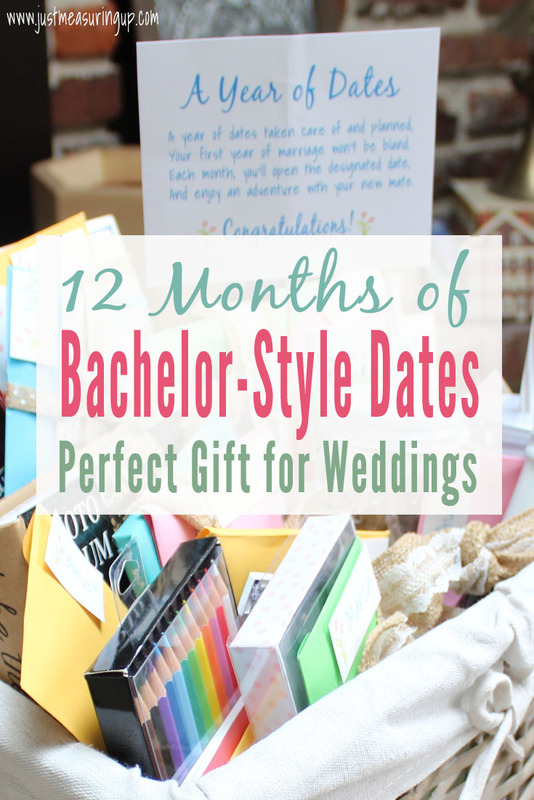 You can get really great prices at Bed, Bath, and Beyond on these. Another place to get a great price on pillows and pillow covers is Amazon. They have pillows similar to Pottery Barn and Pier 1, but at much better prices. 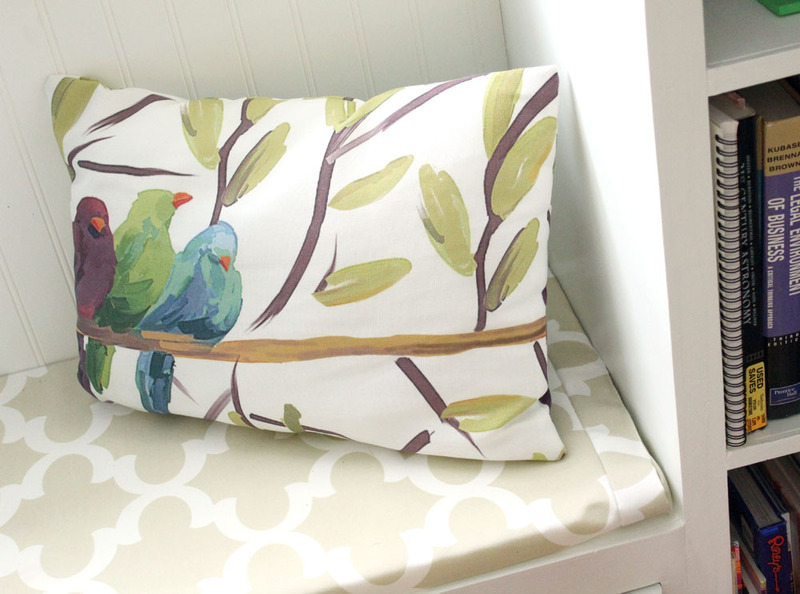 I ordered the below bird pillow years ago, and it’s still so gorgeous. Plants can instantly change the appearance of a room. 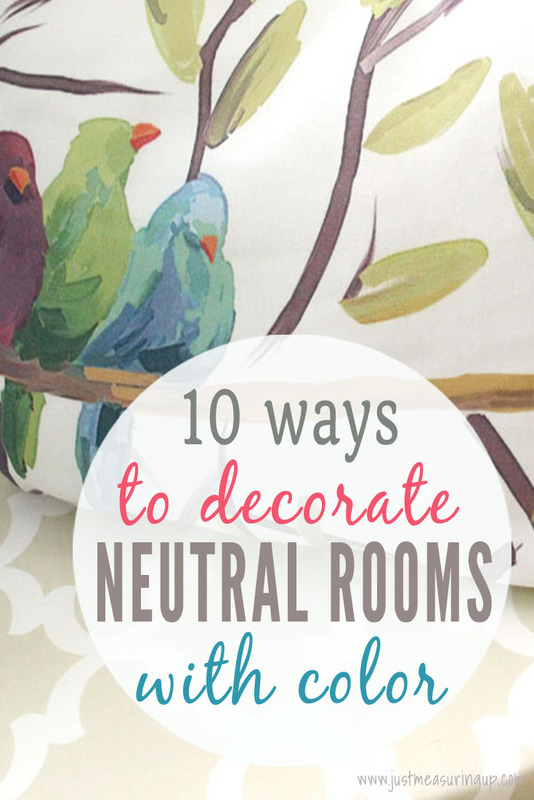 Just by adding a little greenery, your neutral room becomes more lively and homey. Plants are definitely an easy way to add color – no painting or sewing necessary. If you don’t have a green thumb, a high-quality artificial plant adds the same effect. 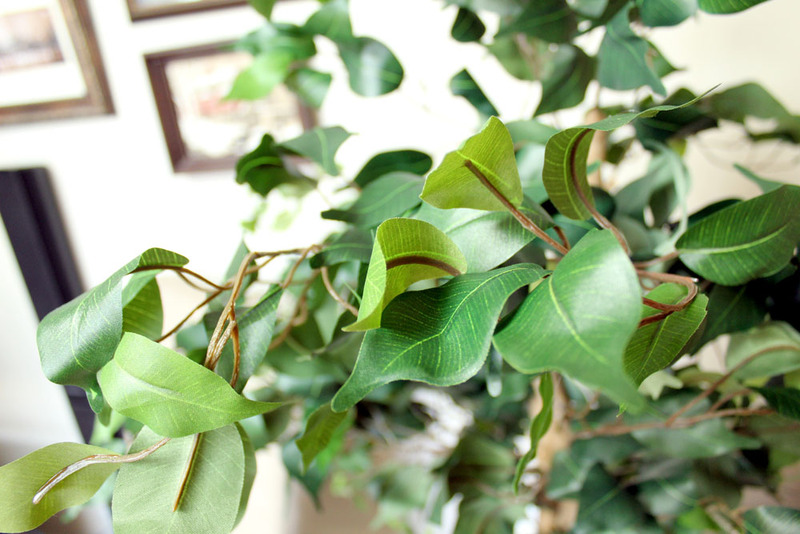 We have a beautiful, artificial ficus tree (below) from Commercial Silk in our family room. 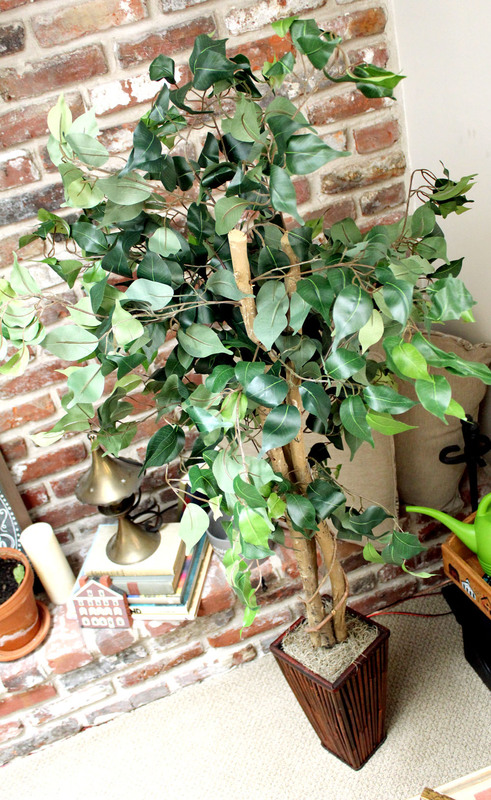 This ficus tree looks real but doesn’t come with the task of keeping a real plant alive. We incorporated it into our living room, and it’s the perfect pop of color against our red brick fireplace. 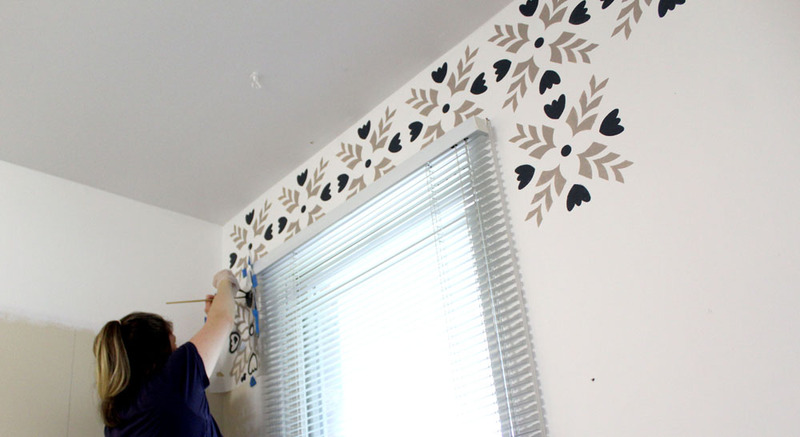 It’s nice knowing the leaves won’t brown, and it instantly made the room feel more welcoming and enlivened while adding some much needed color to our previously-boring space. It’s like a breath of fresh air! 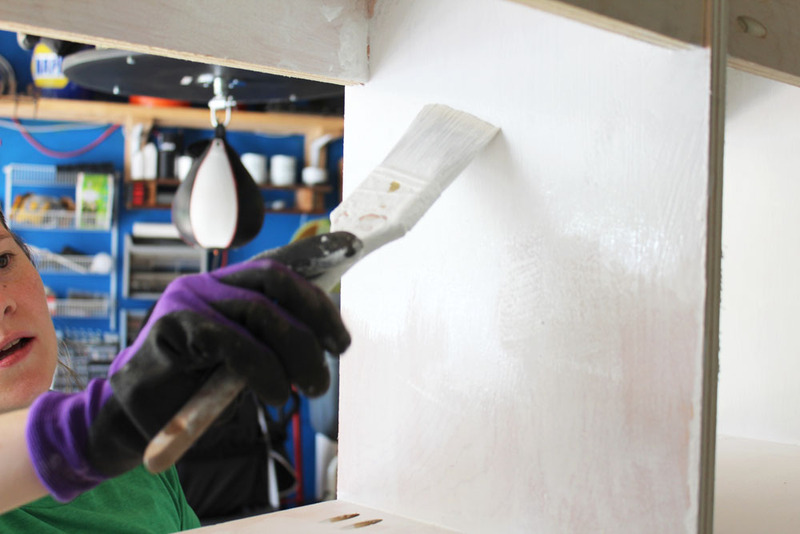 If you have an old piece of furniture that has seen better days, why not give it a coat of fresh paint to add color into a neutral room. 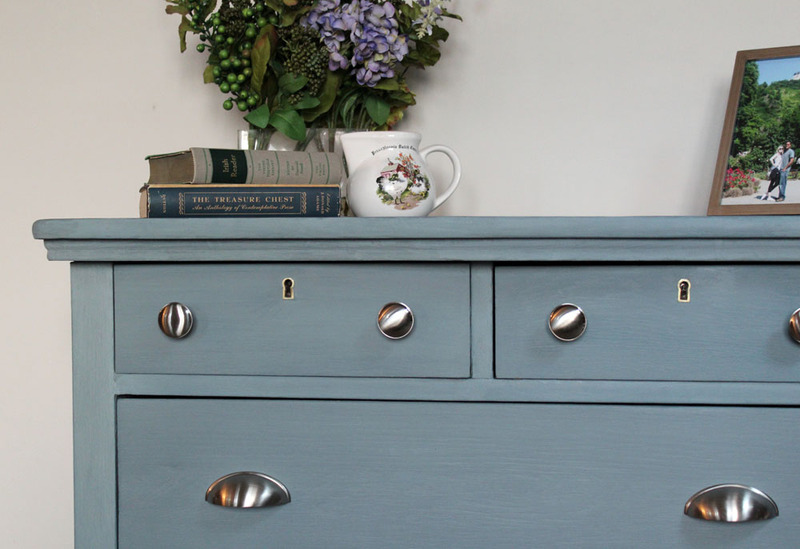 Whether it’s an old chair or an outdated dresser, there are lots of wonderful paints that can be used to give an old piece new life. 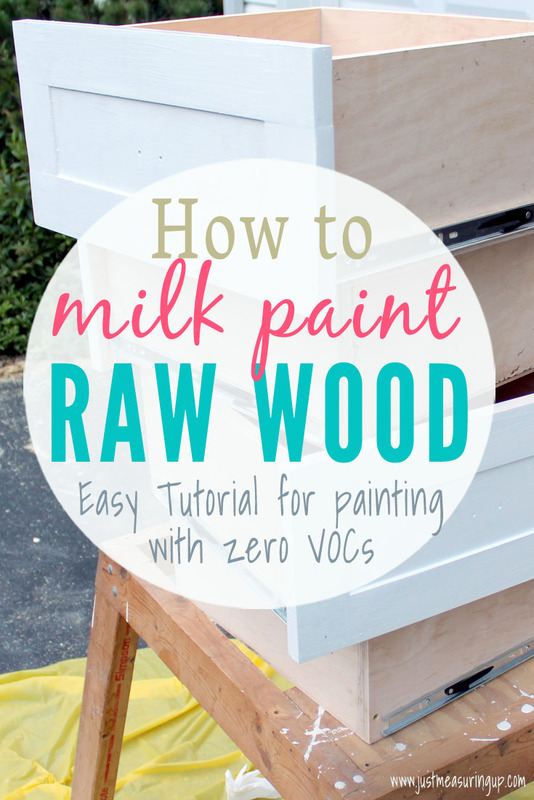 Chalk paint or milk paint are great options. 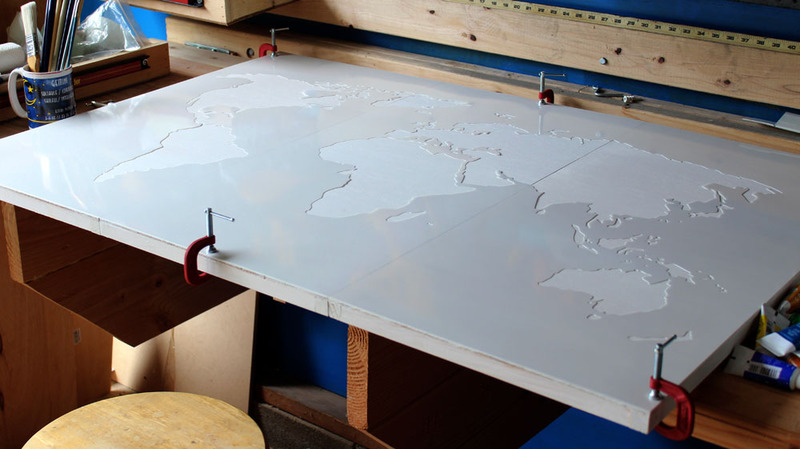 Depending on the piece, you might even be able to get away with spray paint. We recently redid an old dresser (we shortened it too), and it perfectly adds color to our way-too-neutral bedroom. 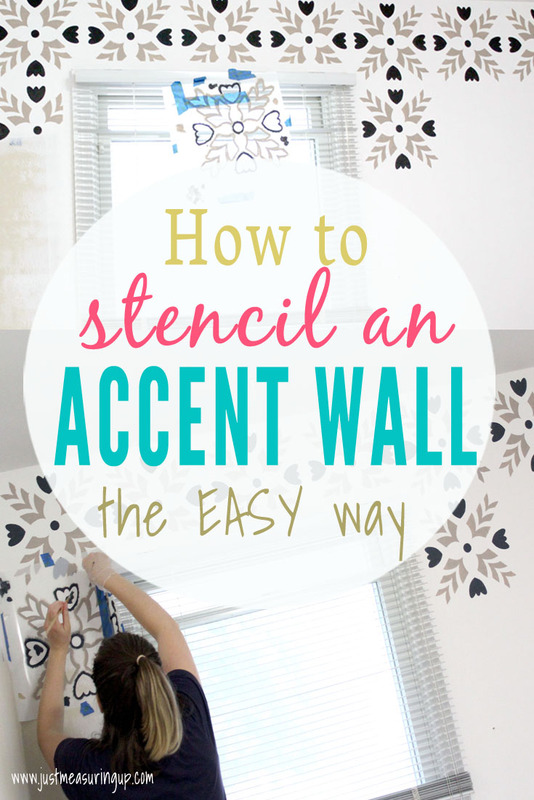 Accent walls are another thrifty way to add color to a neutral space, and there are so many options that you can choose from. 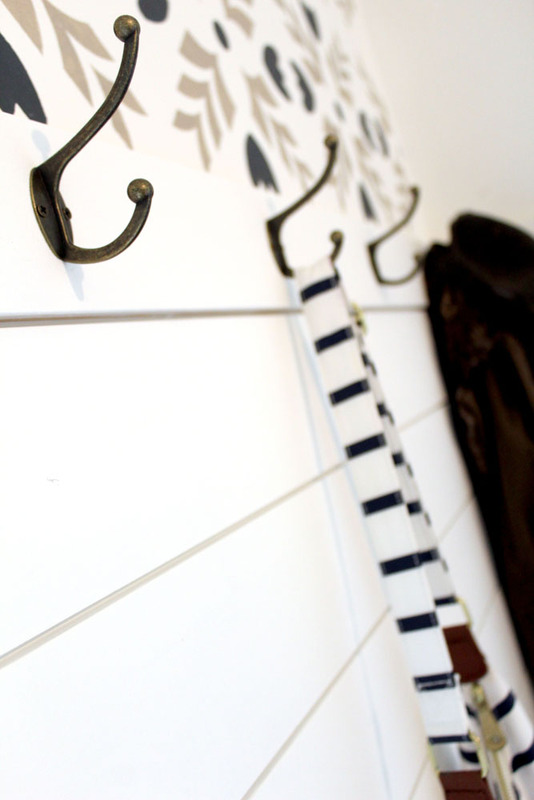 You can do a patterned wall, such as stripes. 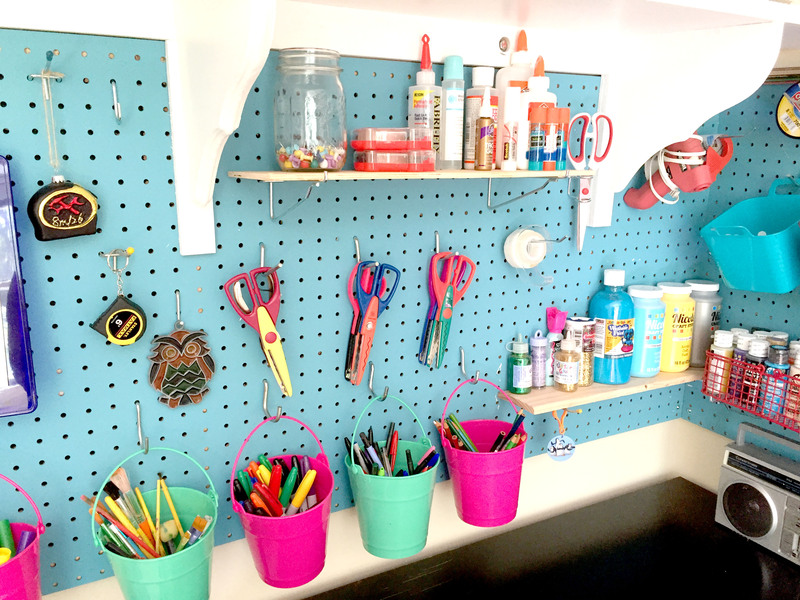 Or, you can do a solid color wall (if you do this, definitely pick a color in the same tone as your main color). 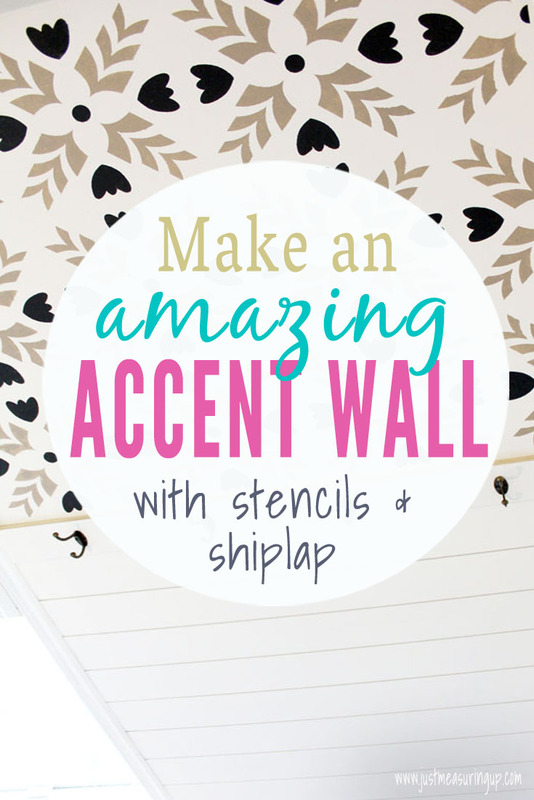 You can even do a stenciled wall – or put decals or wallpaper up. 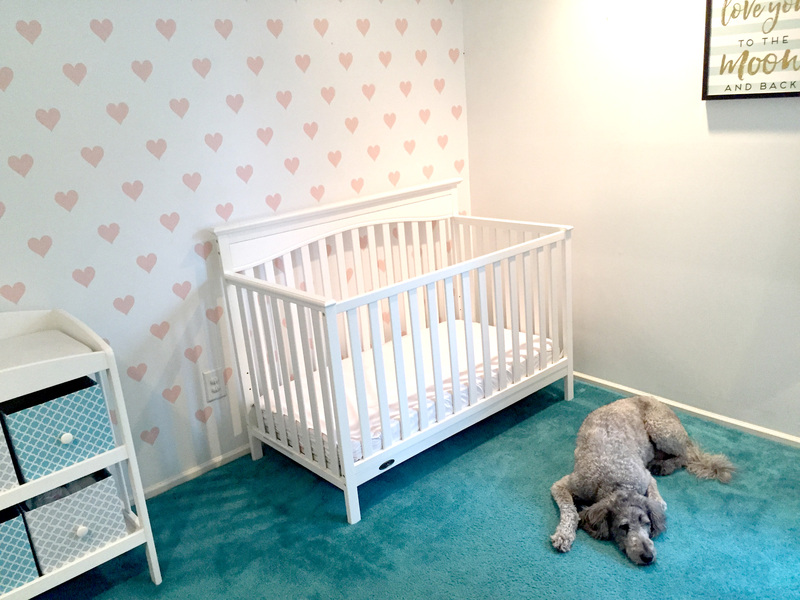 We painted a gray and white striped accent wall in our nursery – which we loved! 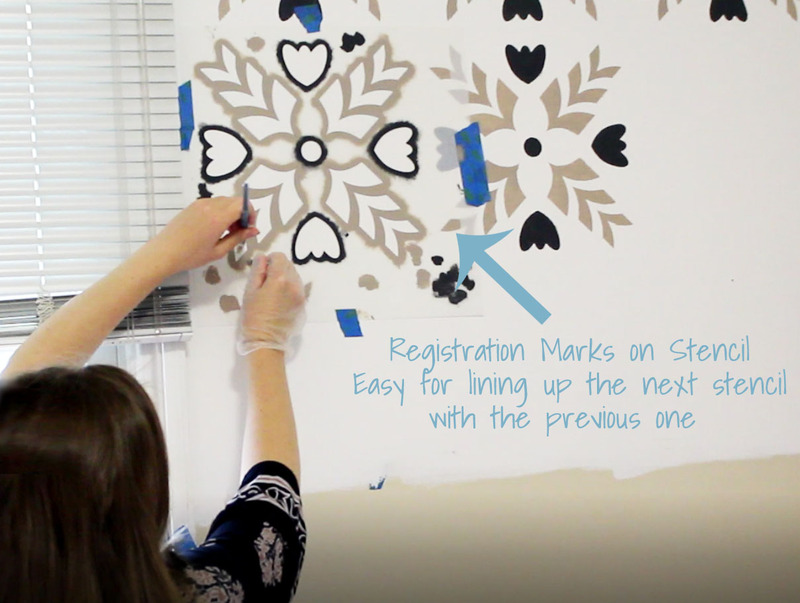 We painted a heart stenciled wall in our second nursery. 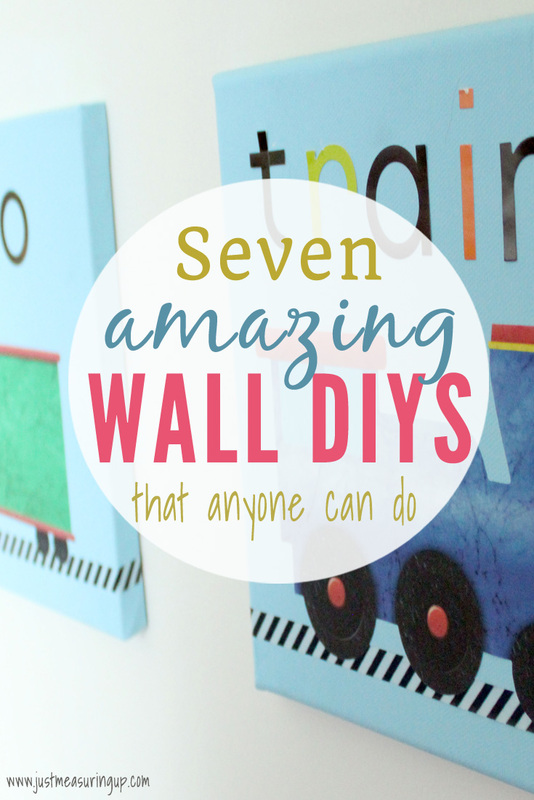 We applied wall stickers on canvases in our toddler’s room. 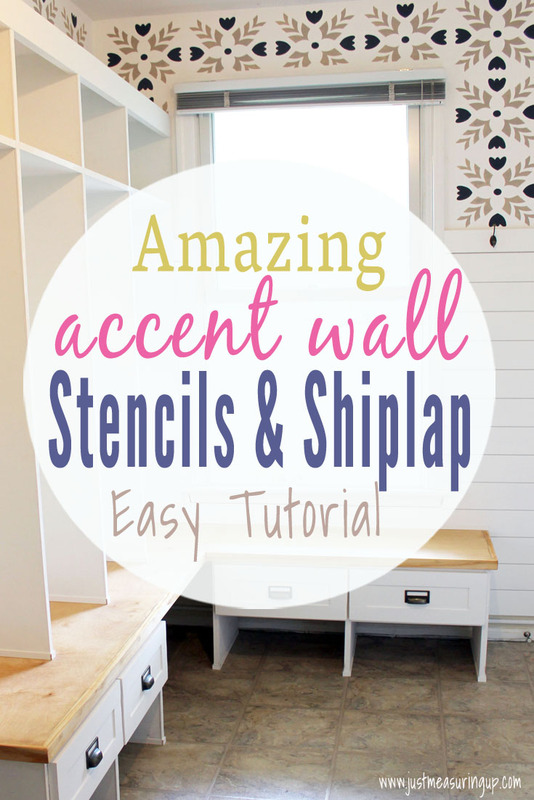 And, we have a stenciled wall coming soon to our mudroom. 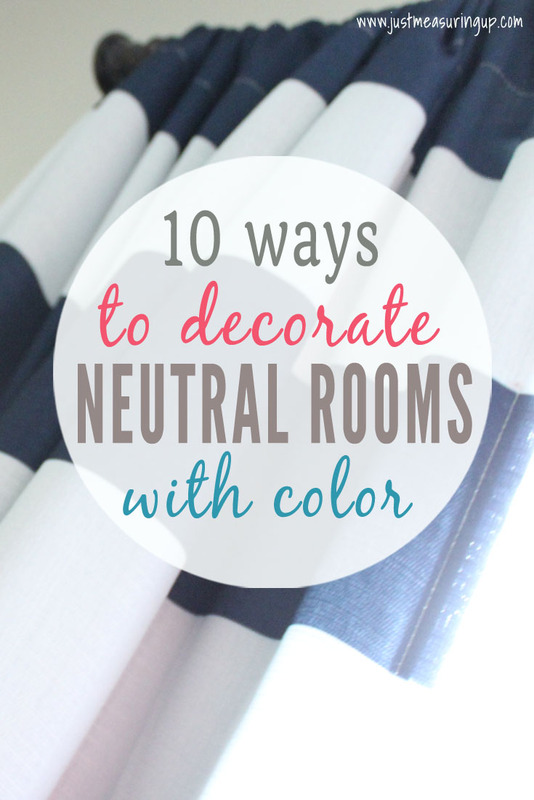 Each of these things added just the perfect amount of color and flair to our neutral rooms. 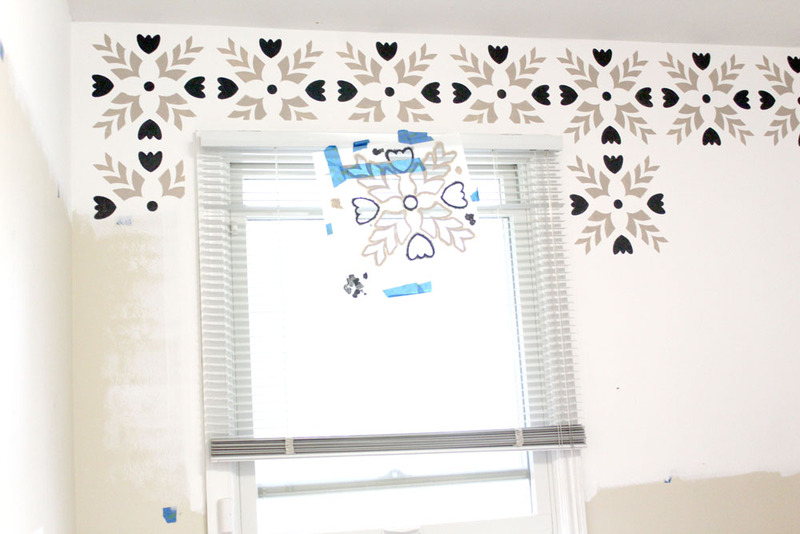 And, we didn’t have to change the glossy white in the rest of the room because the patterns and stencils complimented what was already there. 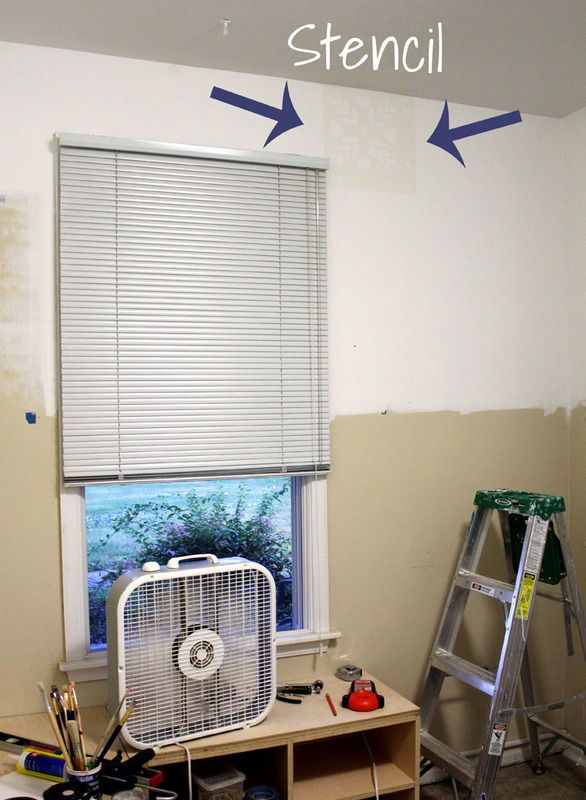 Thus, we saved money on paint by just doing an accent wall. 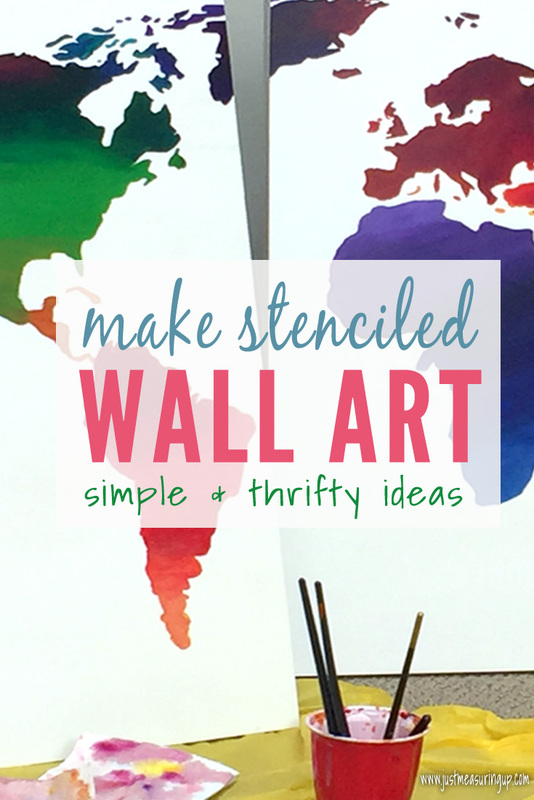 Don’t underestimate the creativity and color that you can add to your home by decorating your wall space. 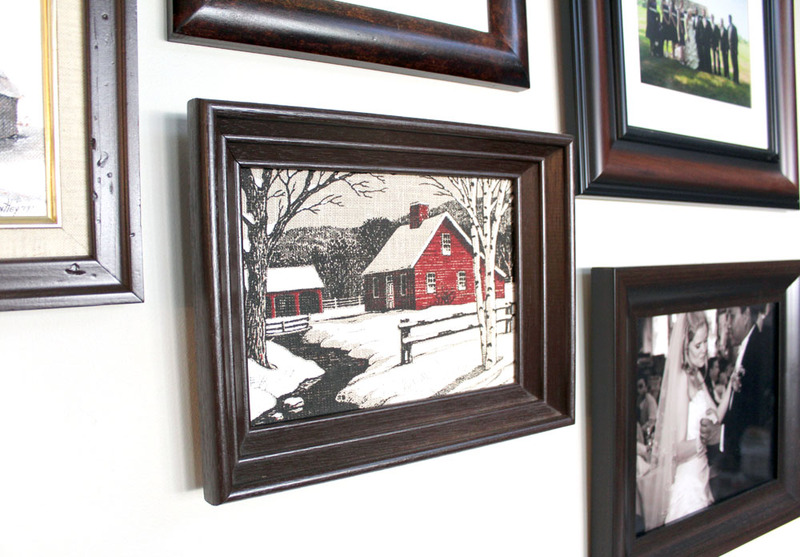 A bright picture or an interesting gallery wall brings character and color to a room. 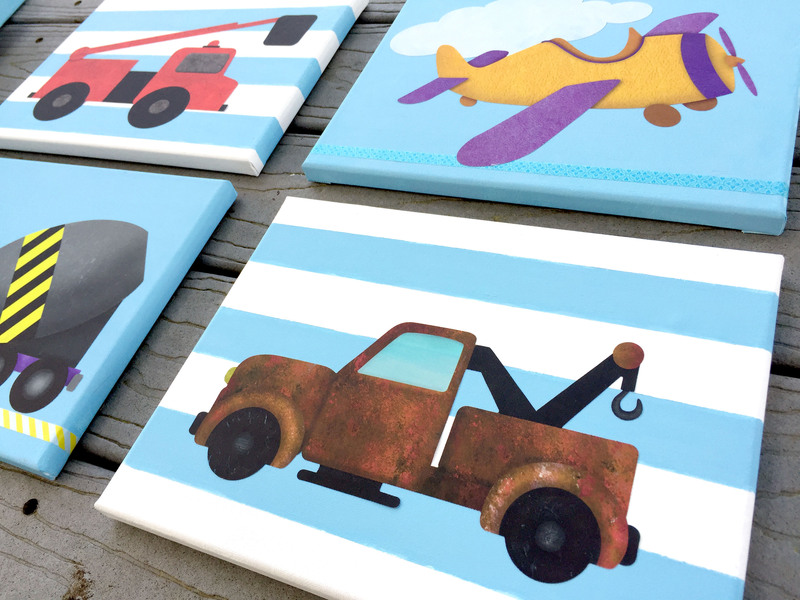 Also, you can easily spray paint frames for a little more color too. 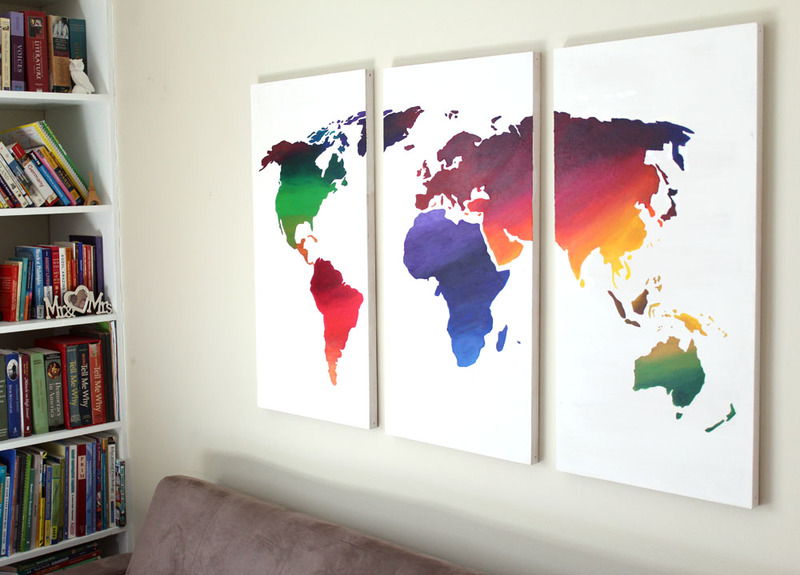 I also love to find a vibrant picture and use the colors in it as an inspiration piece to decorate the whole room. 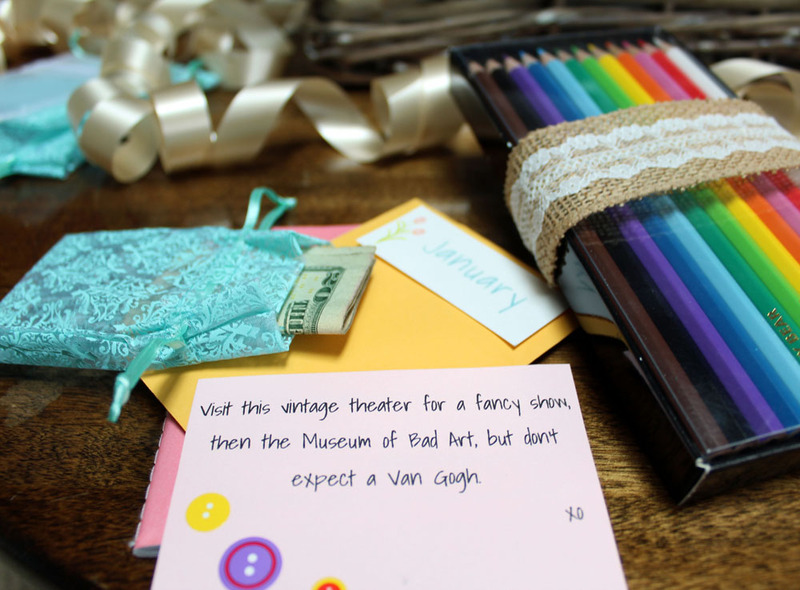 My favorite spots to shop for budget-friendly pictures are Home Goods and Christmas Tree Shops. 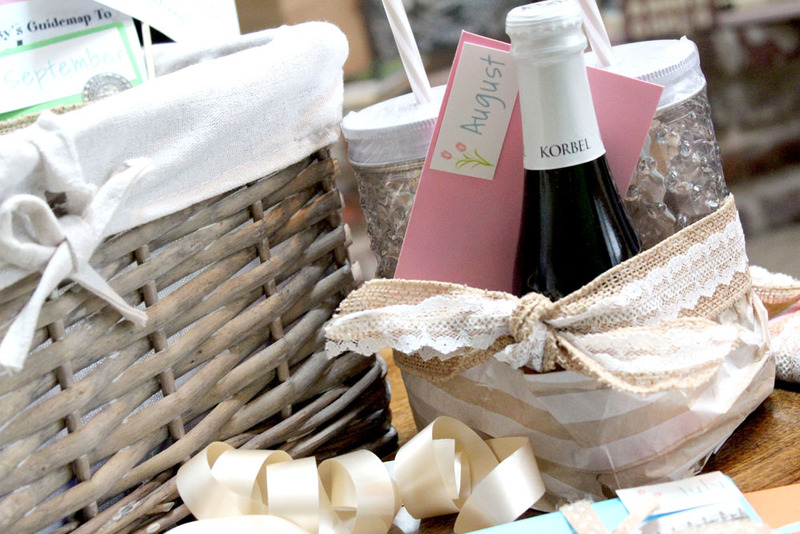 You can also find some great pieces at the craft stores, as they are carrying more and more home decor items. If your couch or upholstered chairs are looking a little too neutral, and you want to add freshness or vibrancy, think about throwing a slipcover over them. Slipcovers add color and aren’t as expensive as replacing couches or chairs and the comfort they provide. You can also easily wash them. Slipcovers might be just the touch of color that your space needs. Along the same lines as slipcovers, duvets provide a similar solution. They can easily cover an old bedspread to add color and freshness to a room. Easily washable, you can switch out duvets based on the season or your mood – and they are much less expensive then buying new quilts or bedspreads. An easy way to add color to a room is through hanging vibrant curtains. 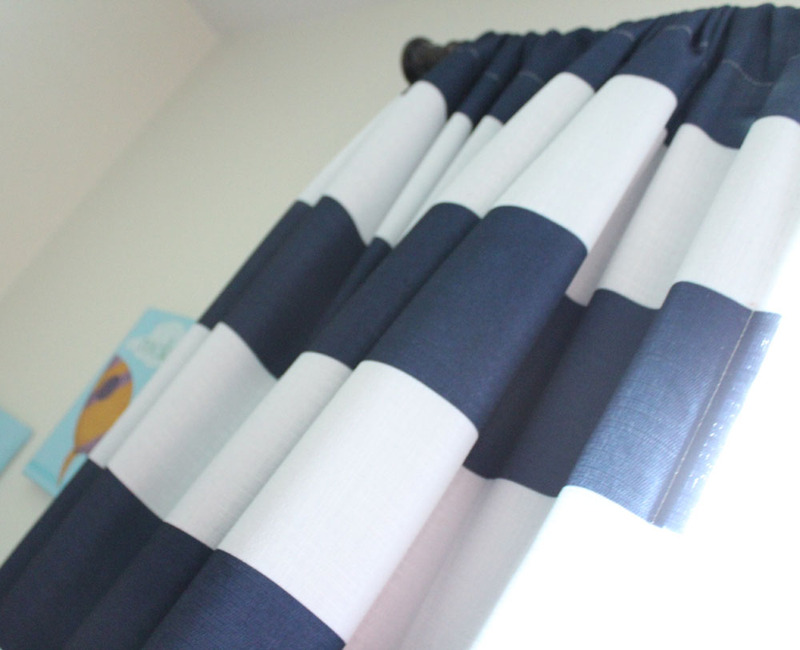 There are so many options with curtains – from popular patterned designs like Moroccan and damask to simple stripes. Curtains are one of the best ways to infuse your neutral living room or bedroom with color. 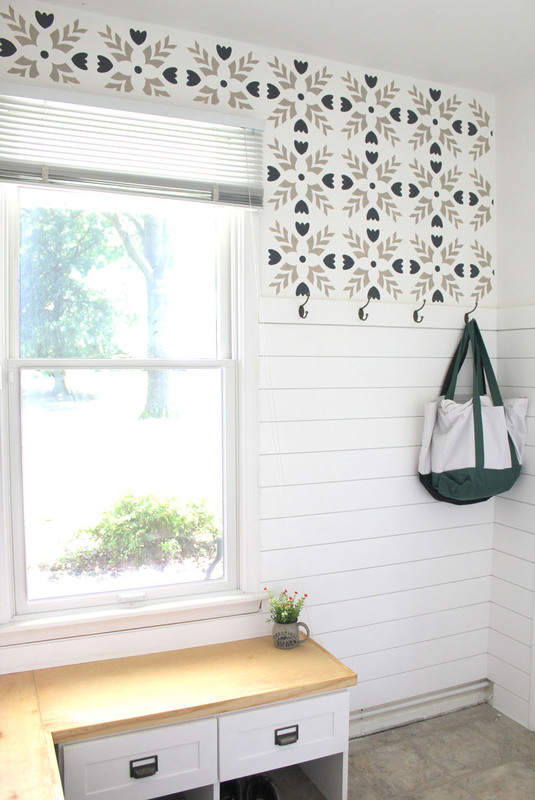 If you have a neutral bathroom, add a vibrant shower curtain. We added a green plant shower curtain to our brown and tan bathroom, and instantly it softened the appearance of the room. When thinking about how to add some vibrancy to your rooms, think about letting the sun sweep in with an eye-catching curtain. There’s no reason color has to stop when the wall ends. Add a little more style and flare with a smartly-colored accent rug. Committing to a bright carpet can be daunting; however an accent rug is just the flare that a neutral room needs. 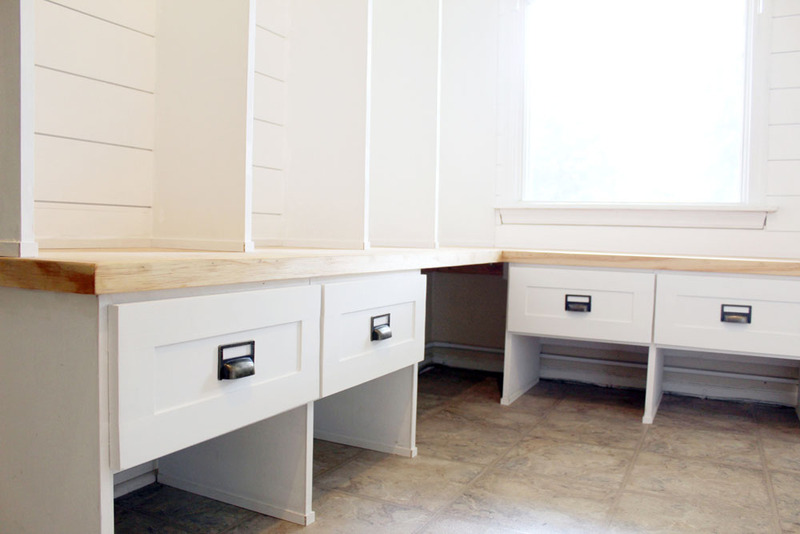 They’re easy to add, move, or clean, and can go anywhere in your home – from the kitchen to the entryway to little reading nooks. If your home is looking a little too neutral, delight your eyes with a gorgeous accent rug. 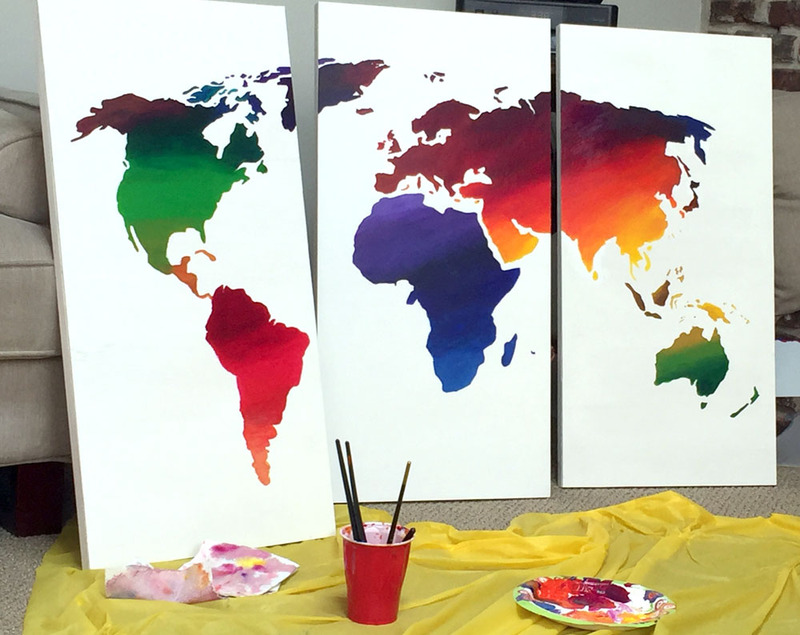 So, if you’re looking to add color to your spaces, these top ten tips are definitely ones to incorporate. 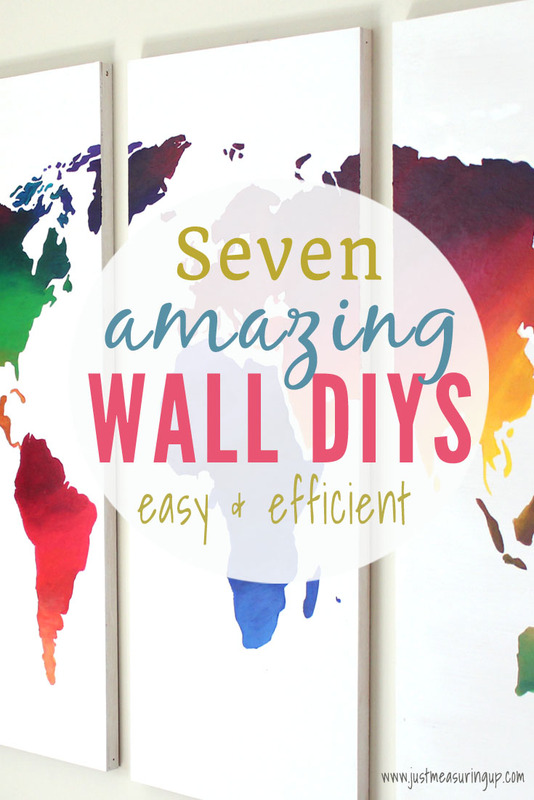 You’ll have your home looking much more expressive, homey, and vibrant without spending much. 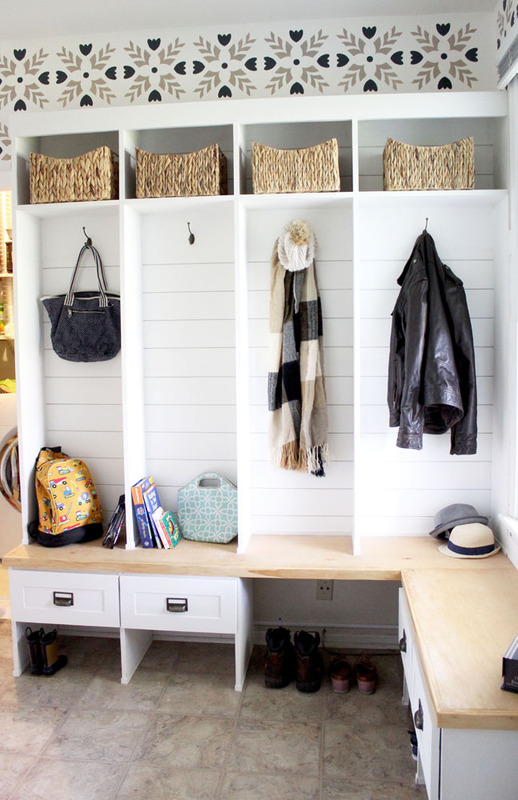 Even just a few of these home decor tips will work wonders. I was picking apples at the grocery store when my toddler asked, “Mommy, are those organic?” I laughed, thinking how he repeats absolutely everything he hears. 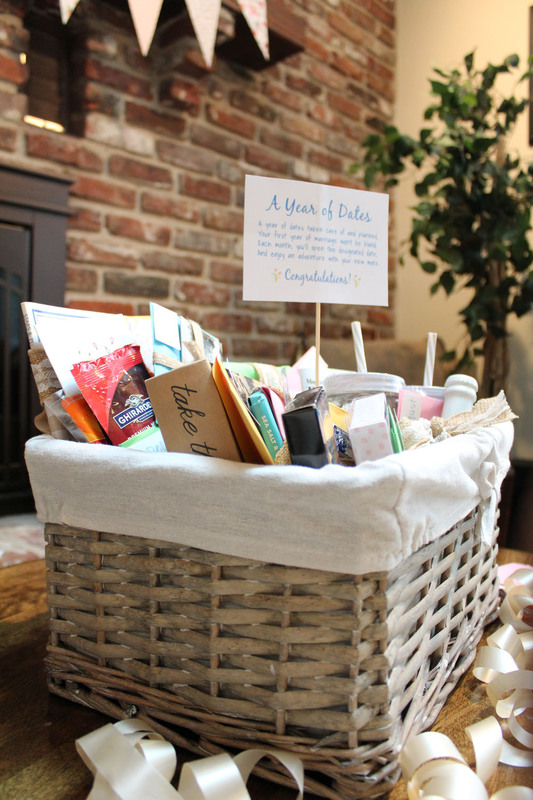 My husband and I have really made the push toward more natural and organic living, and it started in our kitchen. While purging the pantry the other day, I was ready to toss some instant coffee. Before it hit the trash can, I wondered if I could use this to stain wood. 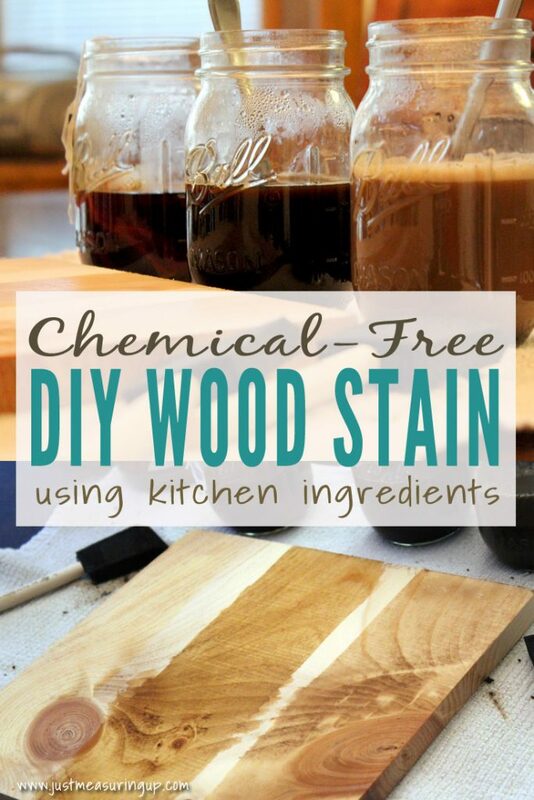 I’ve heard of staining wood with tea and steel wool, but I was interested to see if I could make a chemical-free stain. 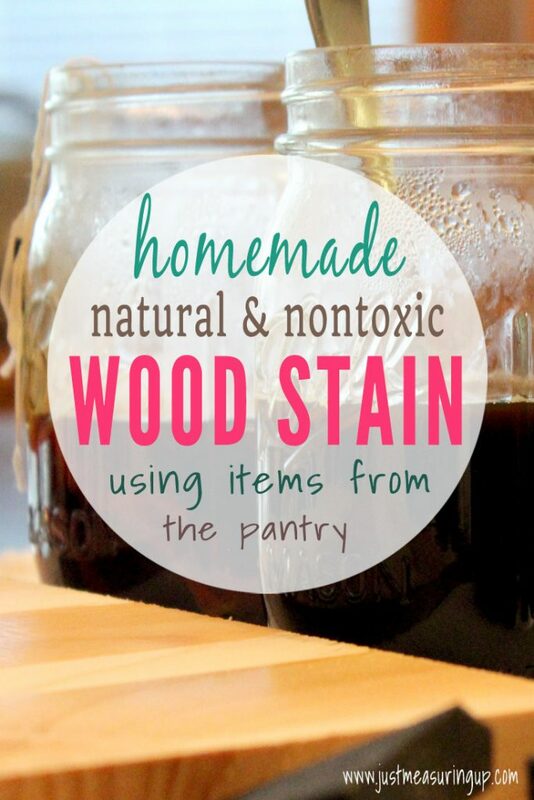 Long story short, you can make a chemical-free, natural stain using just a few items from your pantry. 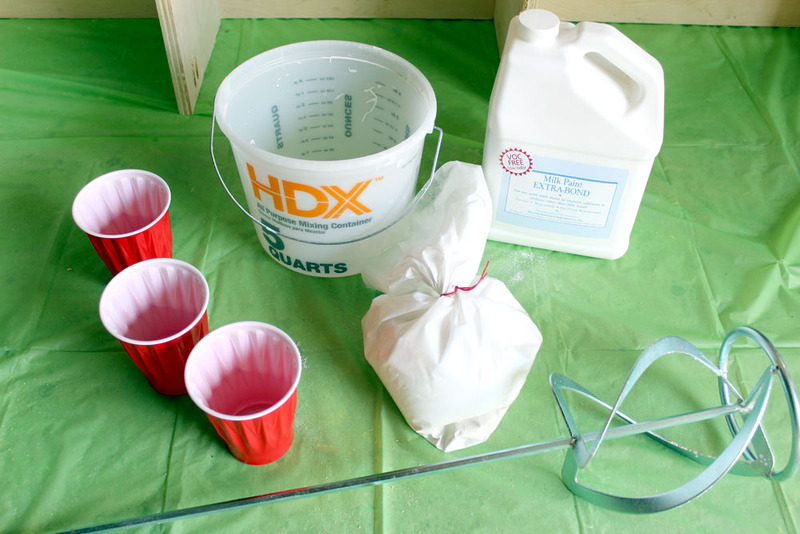 Not only does this homemade stain save you money but it spares you from working with harsh chemicals. 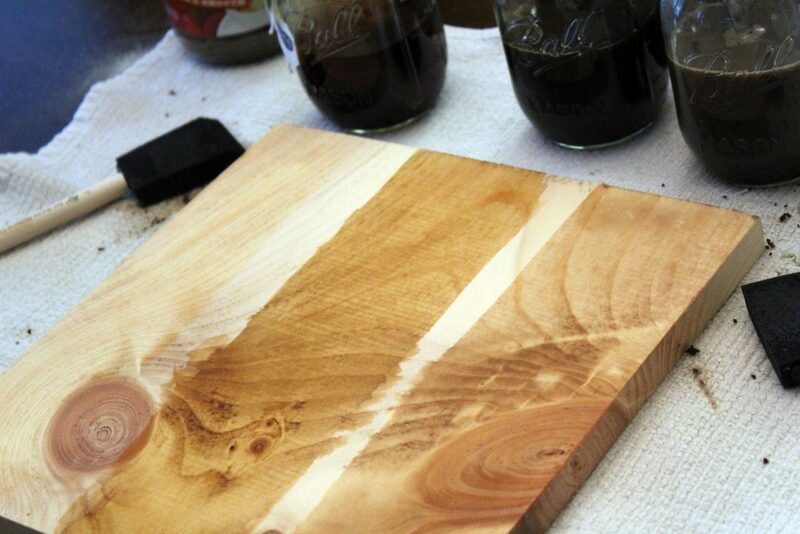 If you are looking to save a few bucks or to avoid the smells that come from store-bought wood stain, follow these simple instructions to make your own DIY wood stain. 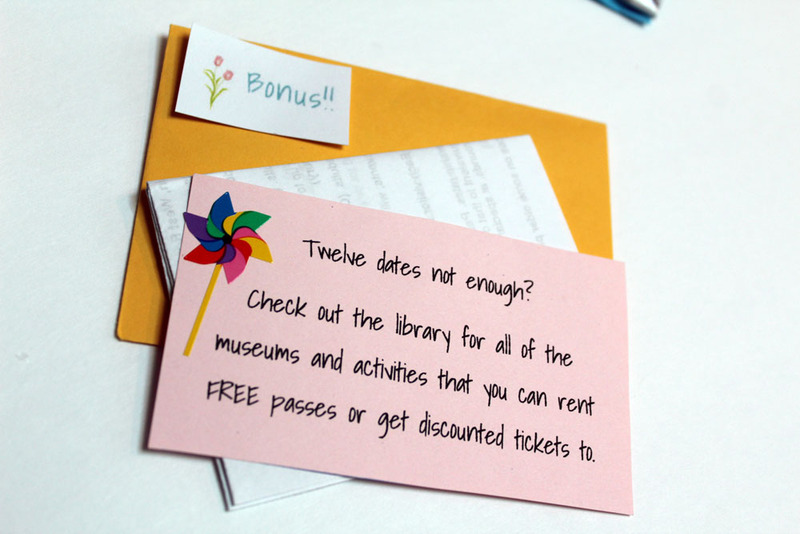 It’s simple and easy – and you get great results! I experimented with a bunch of mixtures to see what kind of colors they produced, and I encourage you to do the same. Write down the mixtures you make, so you see what you like and can easily replicate it. Below I’ll be sharing the mixtures I created. 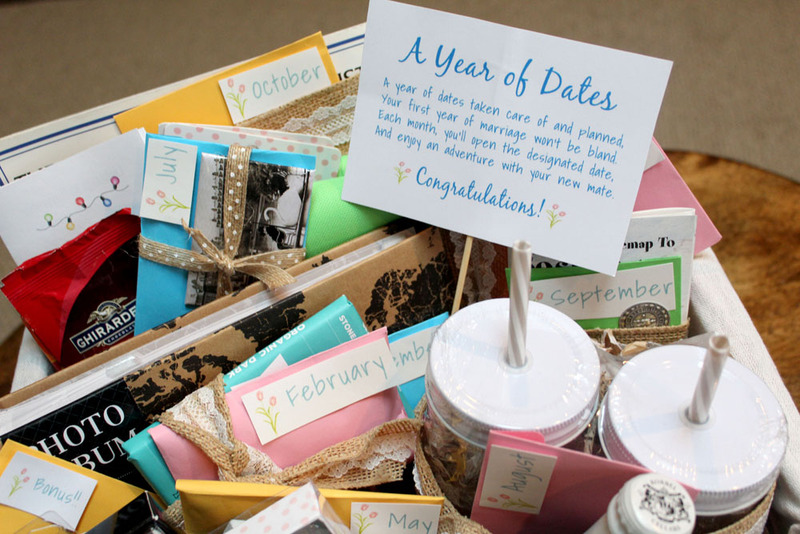 However, color could vary based on the brand and type of ingredients. 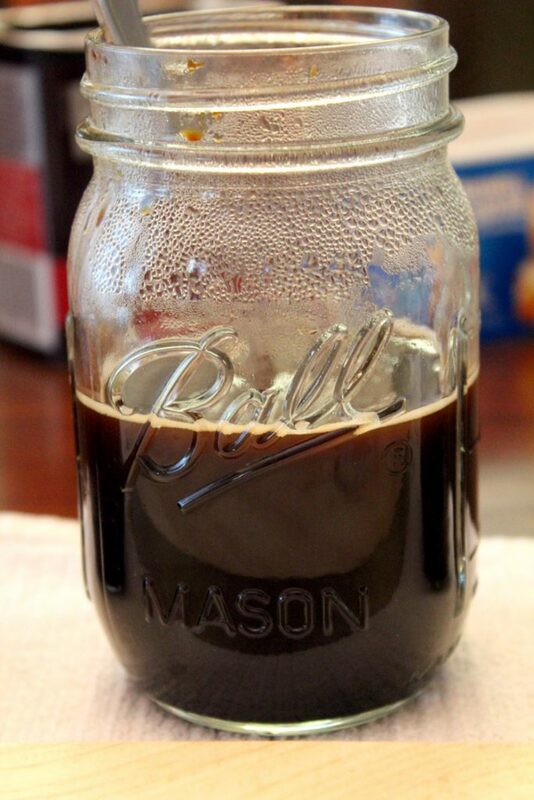 Coffee – I used two types – just a regular instant coffee and a special caramel latte. Pictured below is my setup, with all of the mentioned ingredients. First, I put on a pot of tea, so I had piping hot water to use to mix the wood stain. I decided to make three mixtures. So, I filled three masons jars up a little more than halfway with the hot water. In the first mason jar, I dropped four tea bags in. In the second mason jar, I put two heaping spoonfuls of regular instant coffee and one heaping spoonful of cocoa powder. 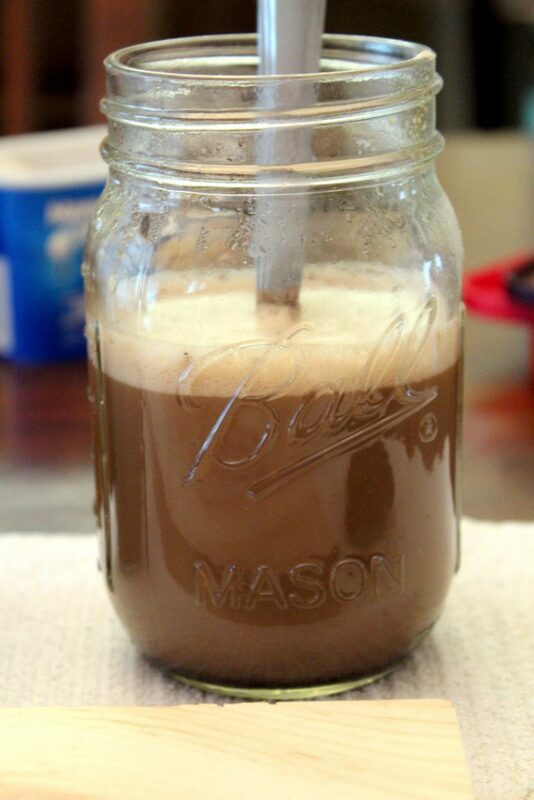 And, in the third mason jar, I put two heaping spoonfuls of specialty coffee (caramel latte) and one heaping spoonful of cocoa powder. I mixed each of them up and let them sit for 5-10 minutes. 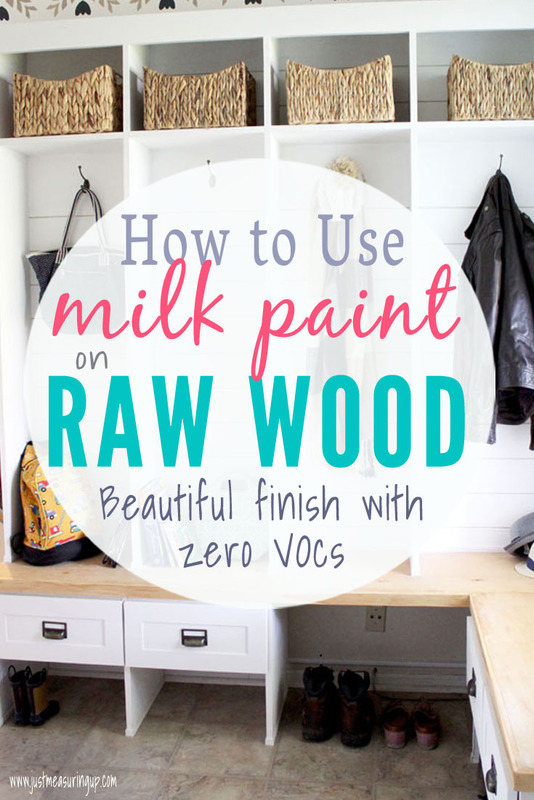 As I was waiting for the mixtures to gain strength, I thought about how awesome it was that I could stain the wood on my kitchen table AND with my kids around! 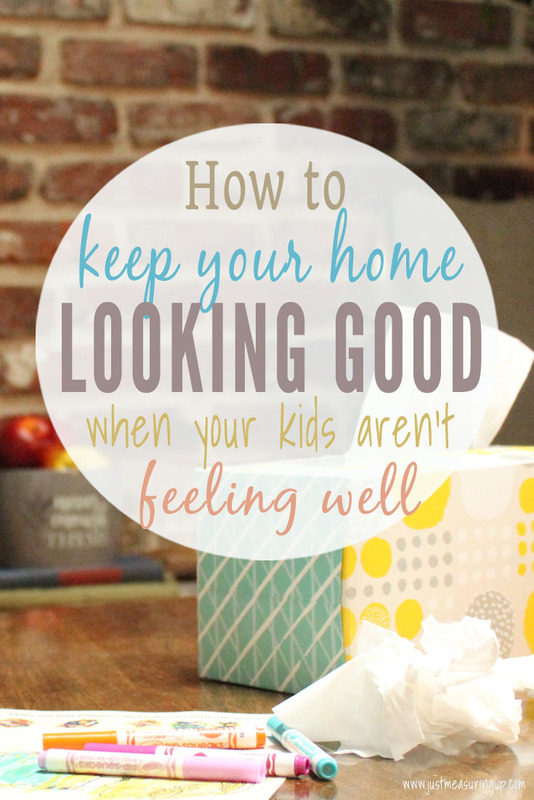 No awful fumes and no exposure to chemicals – such a win! 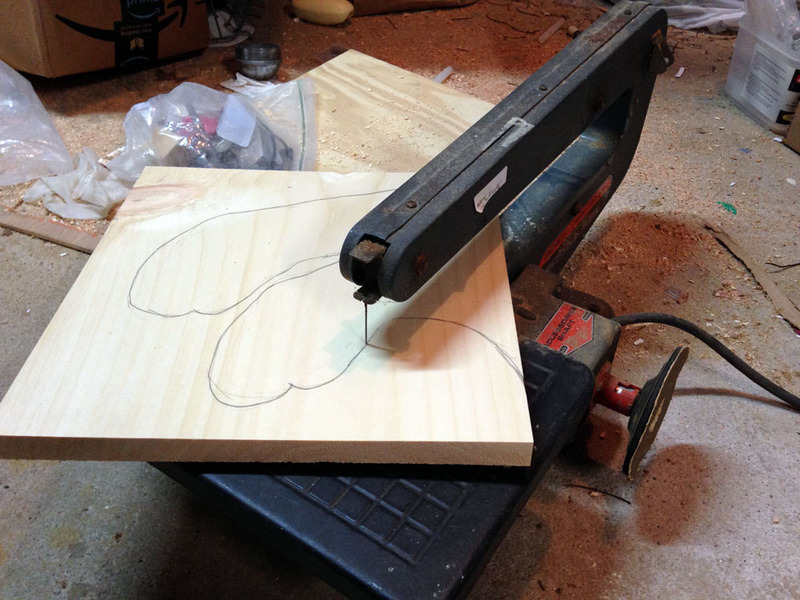 After that, I simply used the foam brush to apply the stain to the piece of pine scrap wood. The first coat was really light. 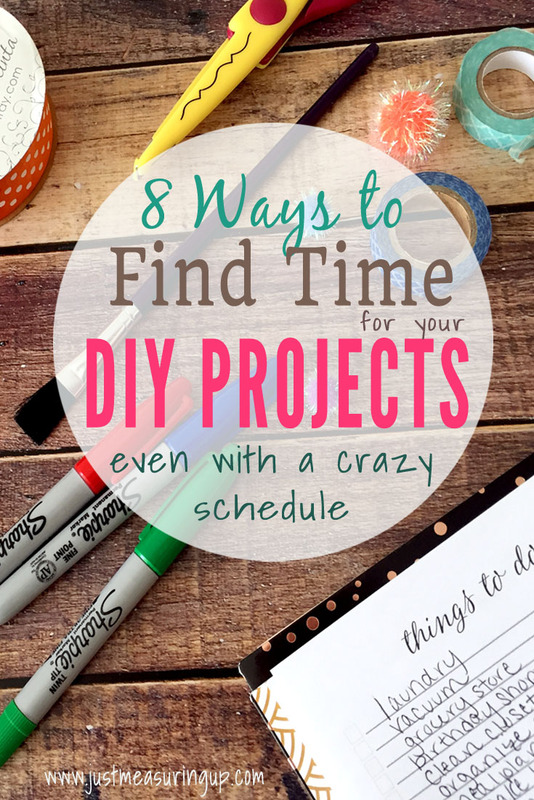 You can use a hair dryer to speed up dry time, or just wait and keep reapplying. I did three or four coats of each. 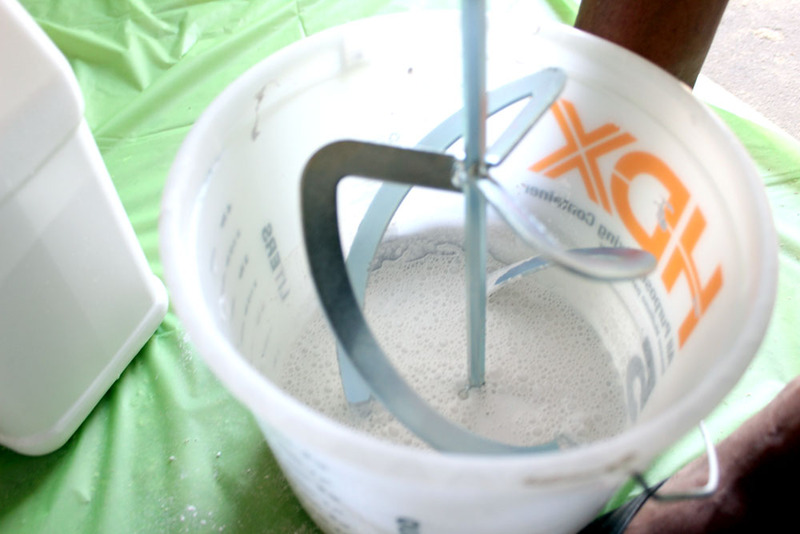 Just don’t let your mixtures sit out for days – because they might grow some strange stuff inside. 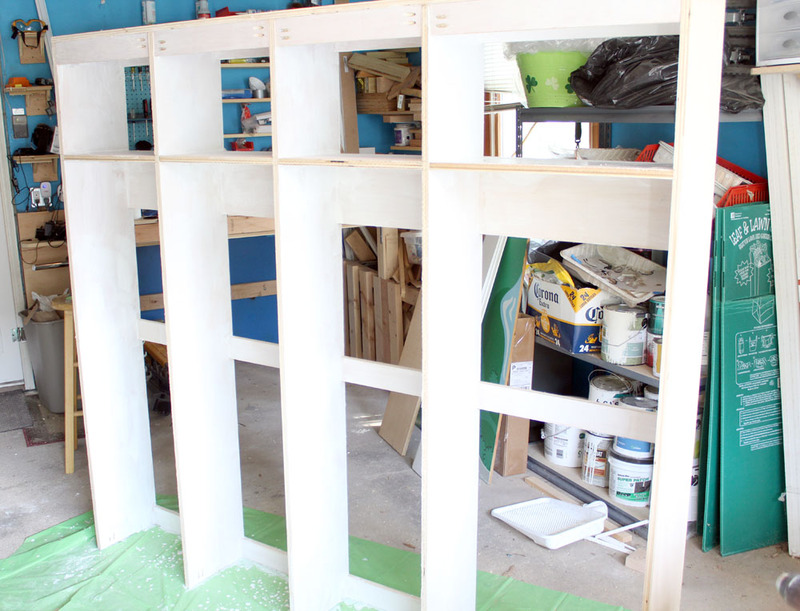 Pictured below is an image I snapped after the first coat. After a couple more coats, I was starting to see some nice colors come through. 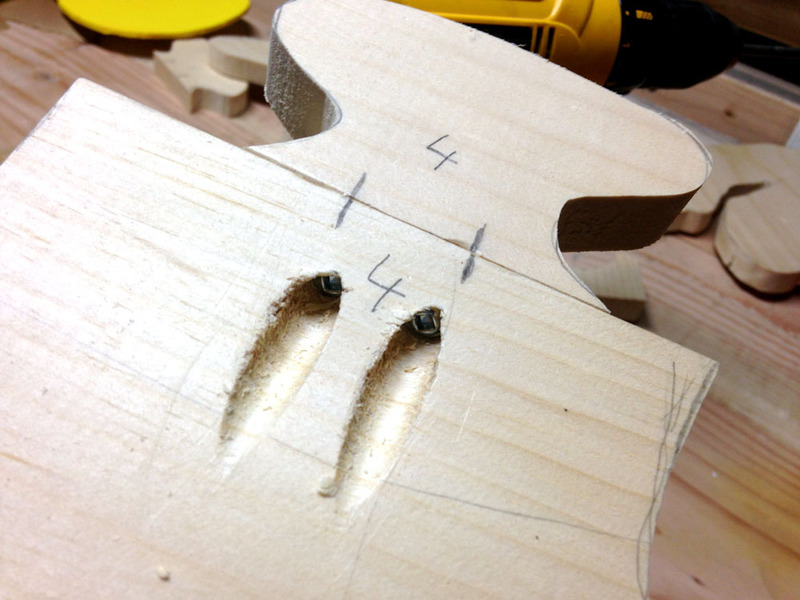 Below is picture I snapped while the wood was still drying. I left the piece to dry overnight and was surprised to see how the wood dried. 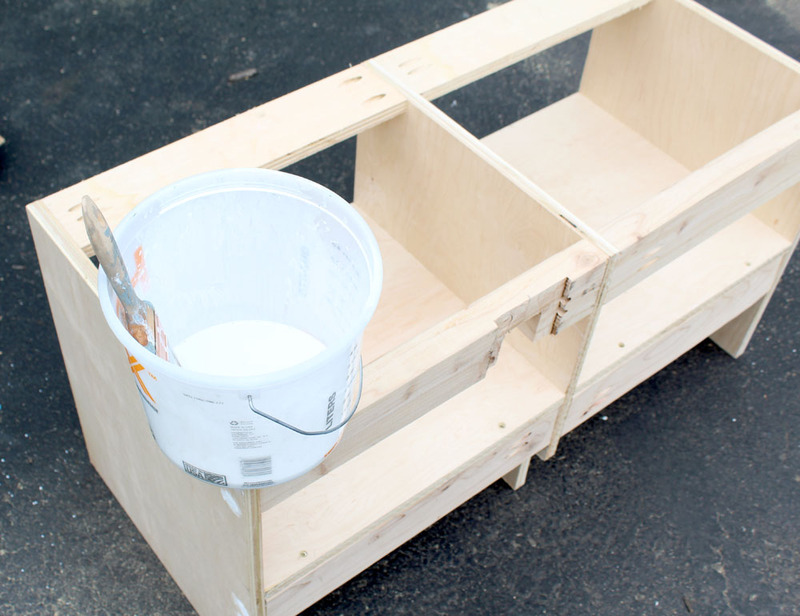 The DIY stain looked awesome! 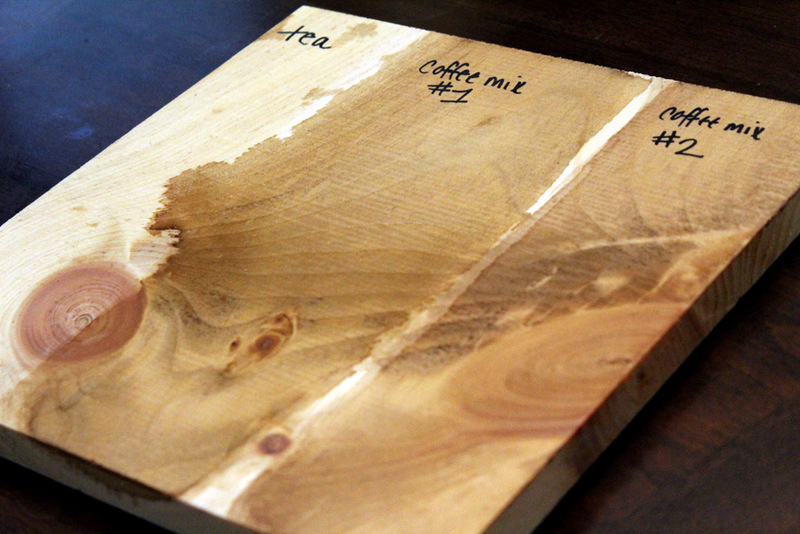 As far as each of the three mixtures, I found that the tea barely changed the wood color. However, the tea would make for a GREAT homemade pre-stain, rather buying store-bought pre-stain filled with chemicals. 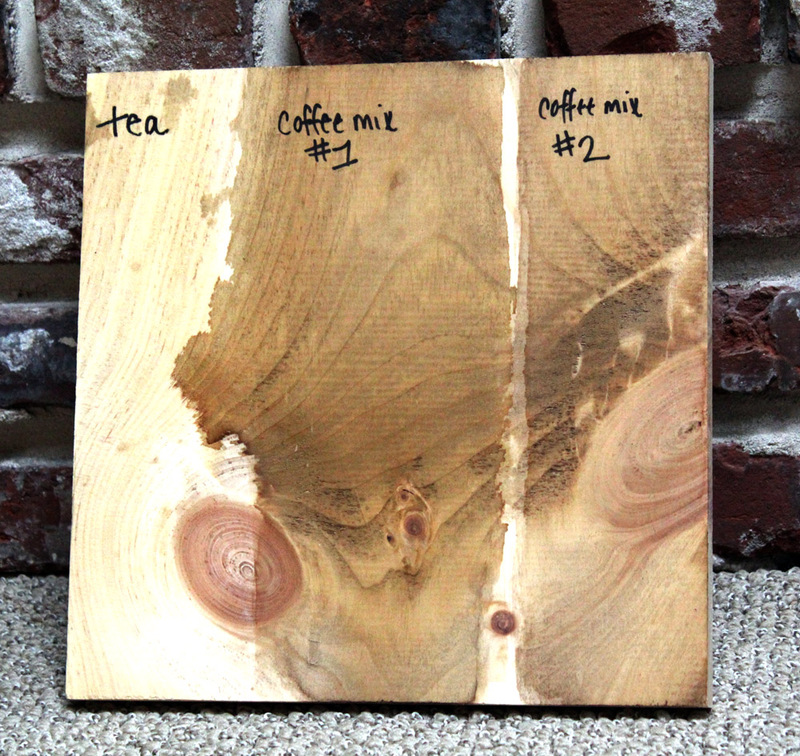 The wood absorbed the tea really nicely and worked just like a pre-stain would. The two coffee mixtures were really close in color when they dried, yet I was pleased with both of them. 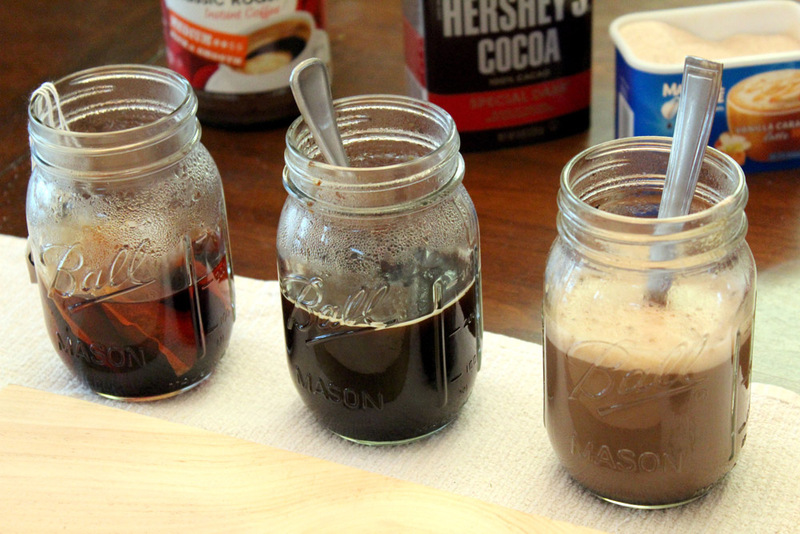 If you are aiming to make a darker stain, you can experiment with adding more chocolate and coffee. 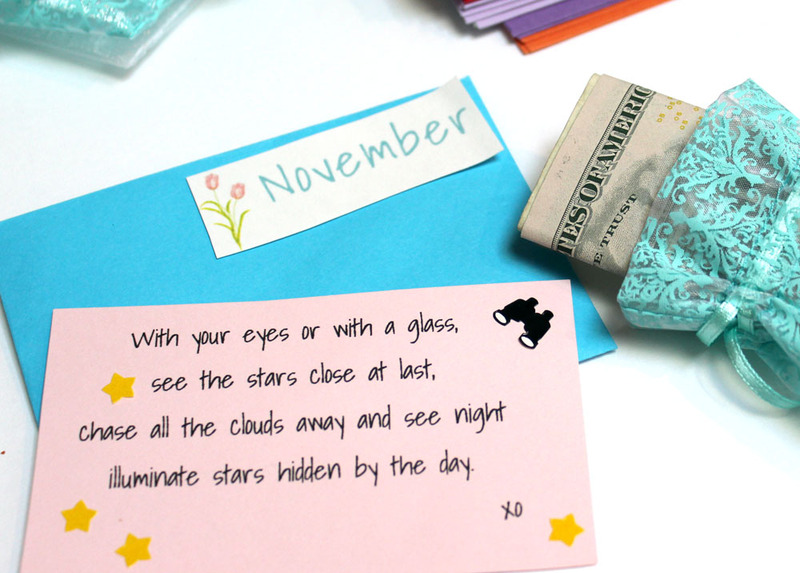 Just remember to write down what you did, so that you can do it again. 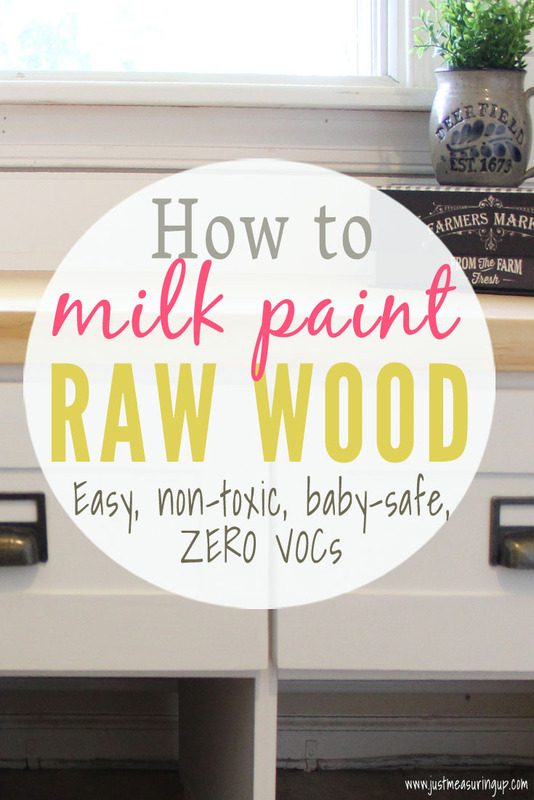 If you’re making this wood stain for a project, definitely seal it afterward. 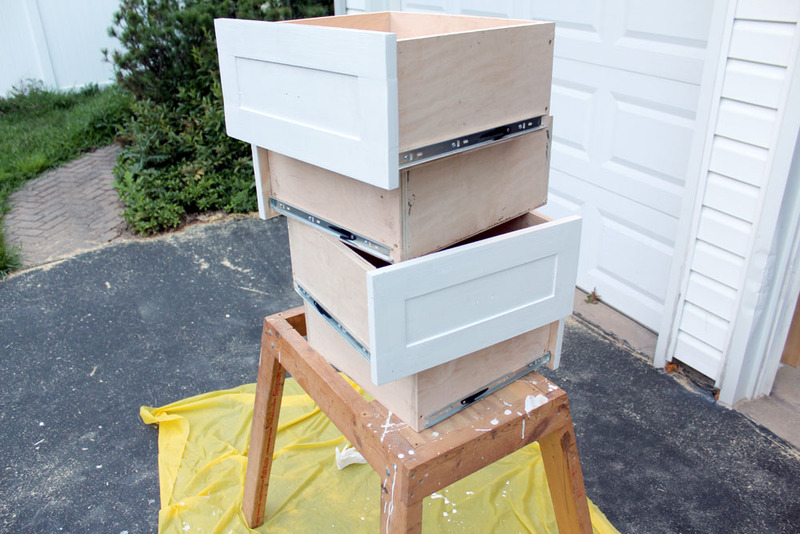 You can make a DIY stain sealer with beeswax or there are a few more natural options too. I like Annie Sloan’s furniture wax, but I’ll be DIYing a beeswax sealer in the near future. I’ll be updating this post to let you know how the color has held up – so check back for updates. 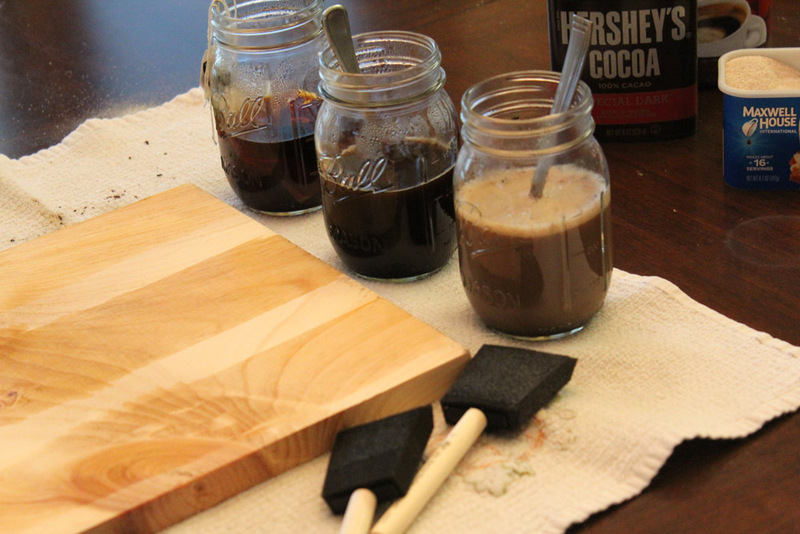 Also, if you would like to see a project featuring this homemade wood stain from coffee and chocolate, check back later this week for my DIY hook rack project. 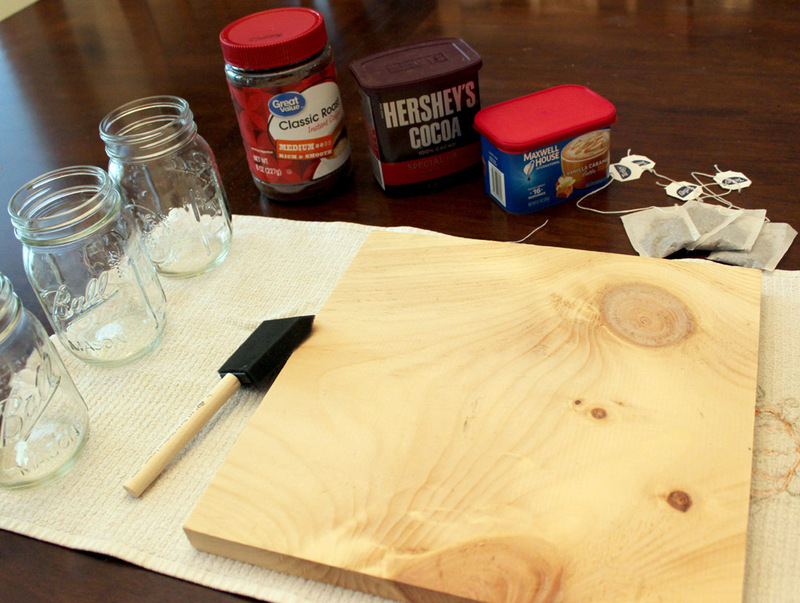 If you are trying to make the switch to more natural ingredients in your home, try experimenting with this homemade, chemical-free wood stain.